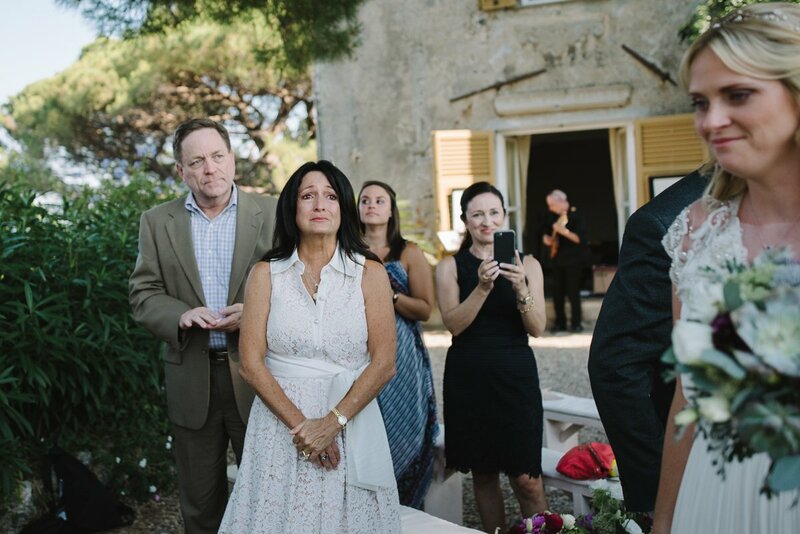 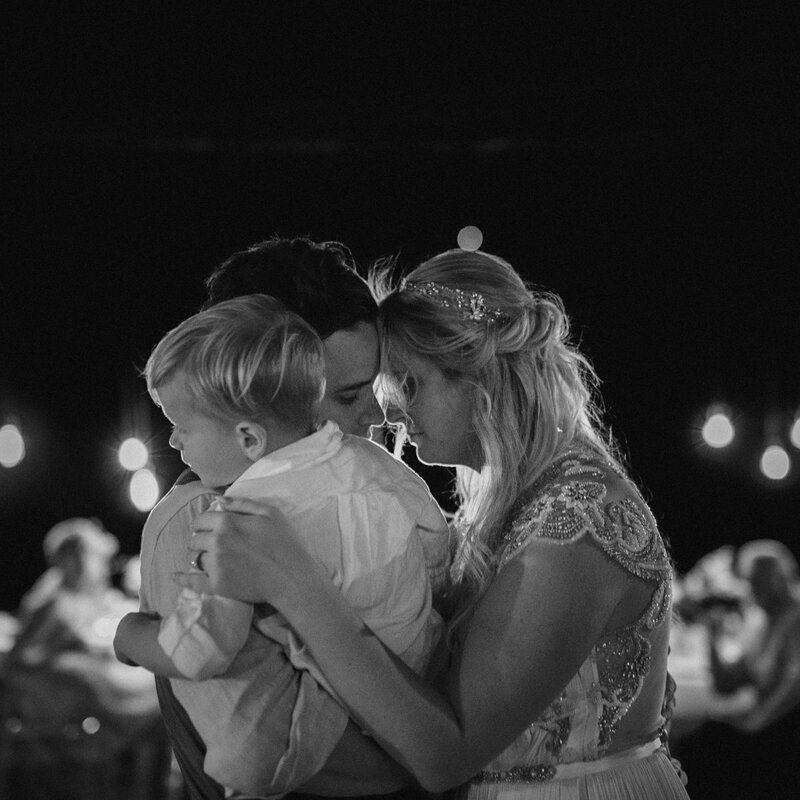 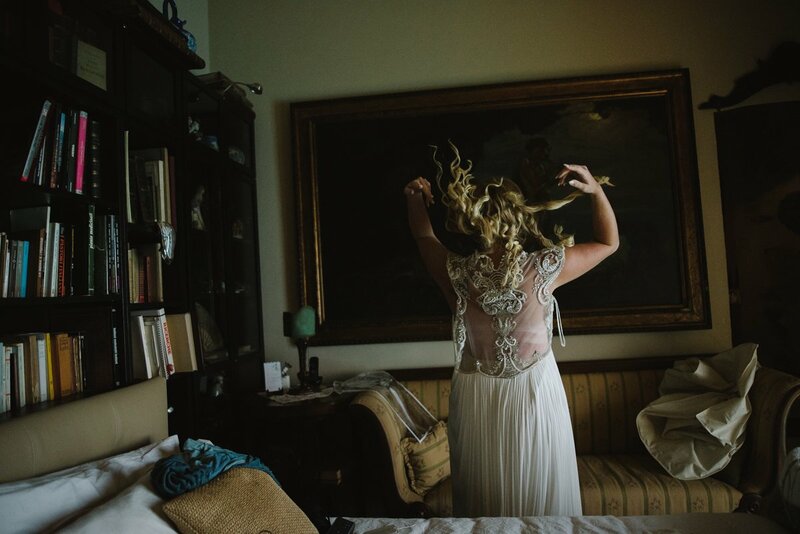 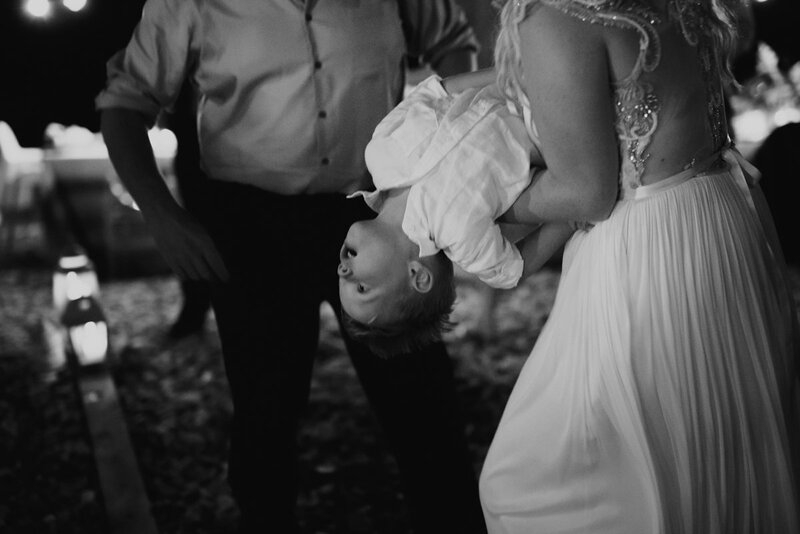 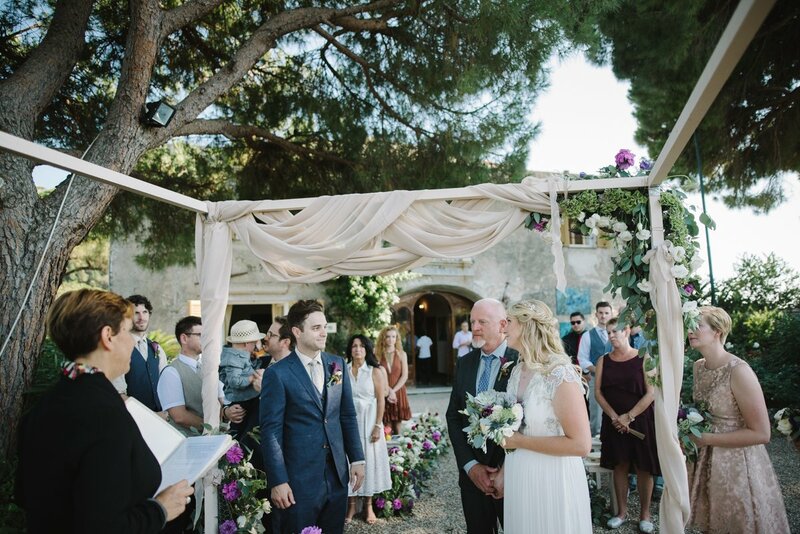 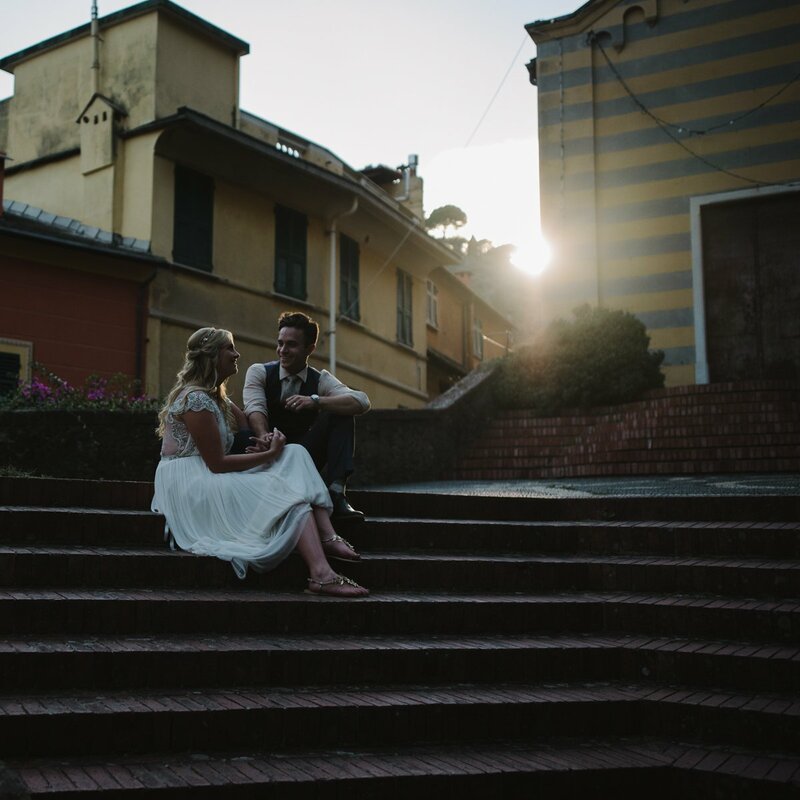 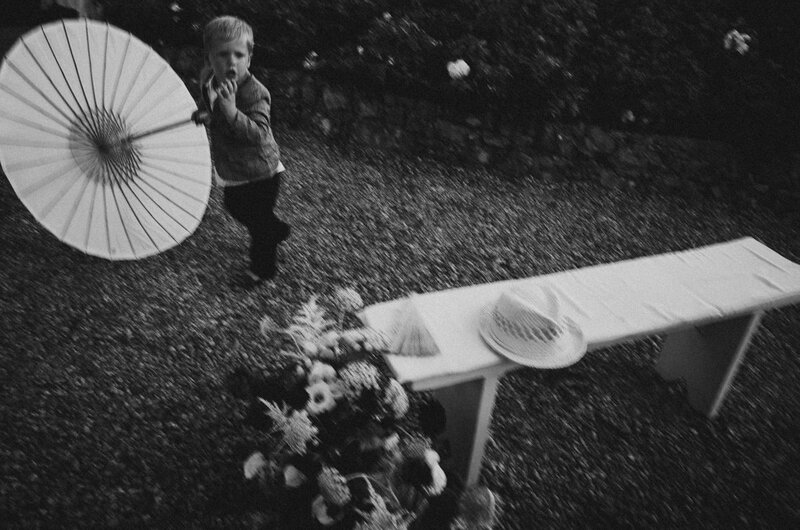 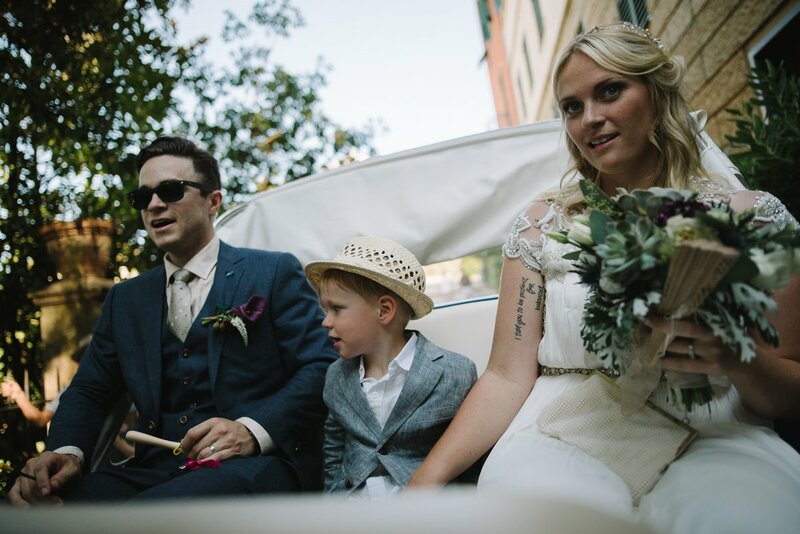 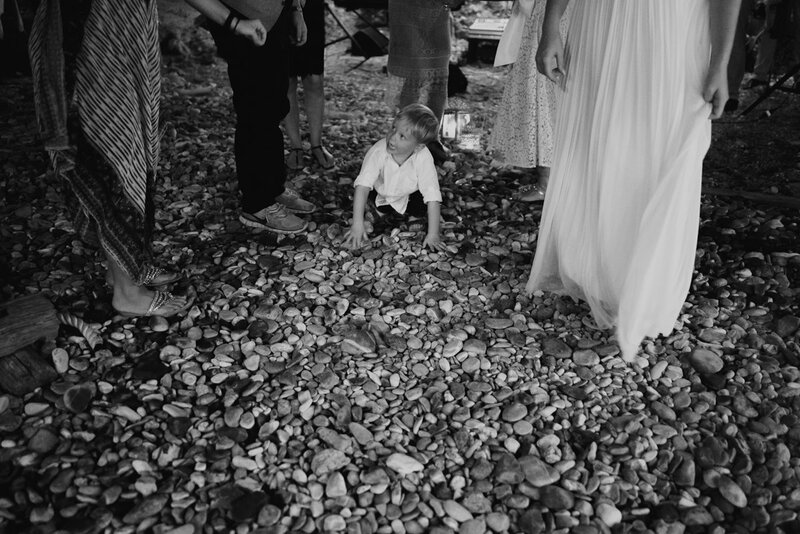 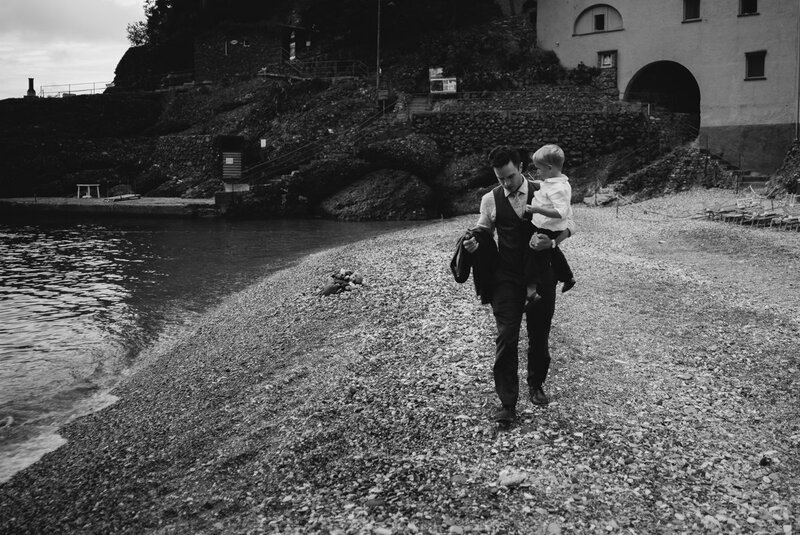 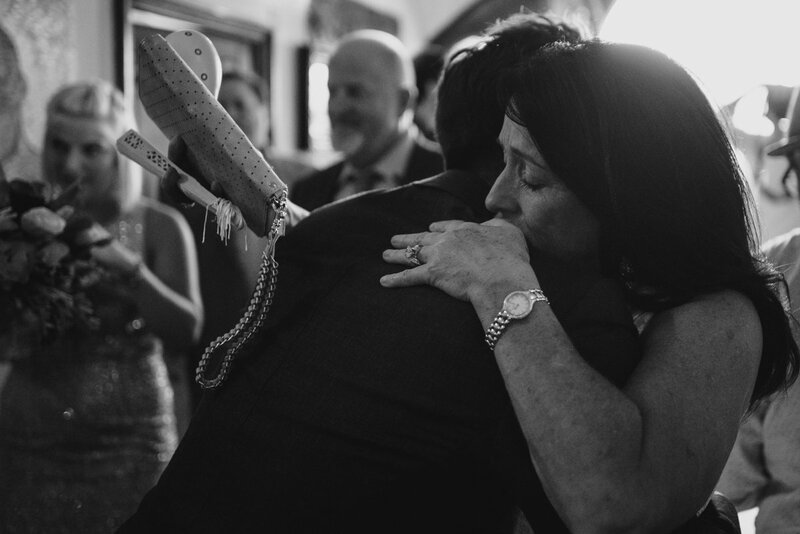 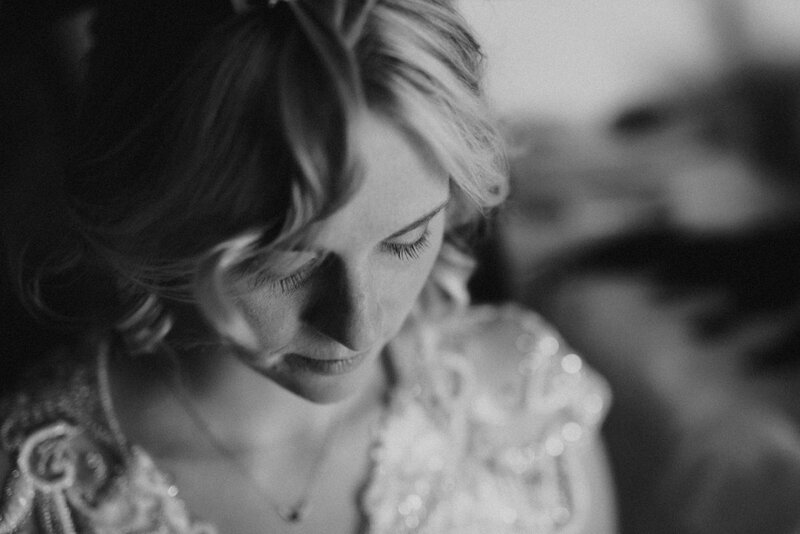 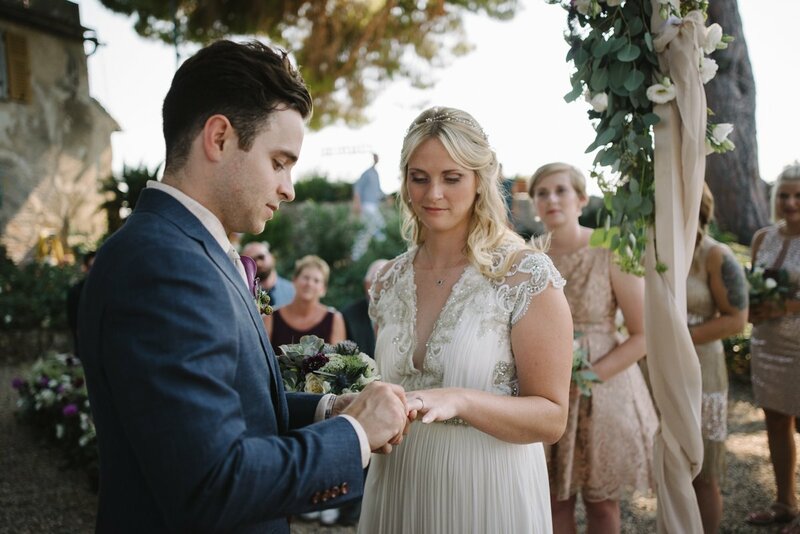 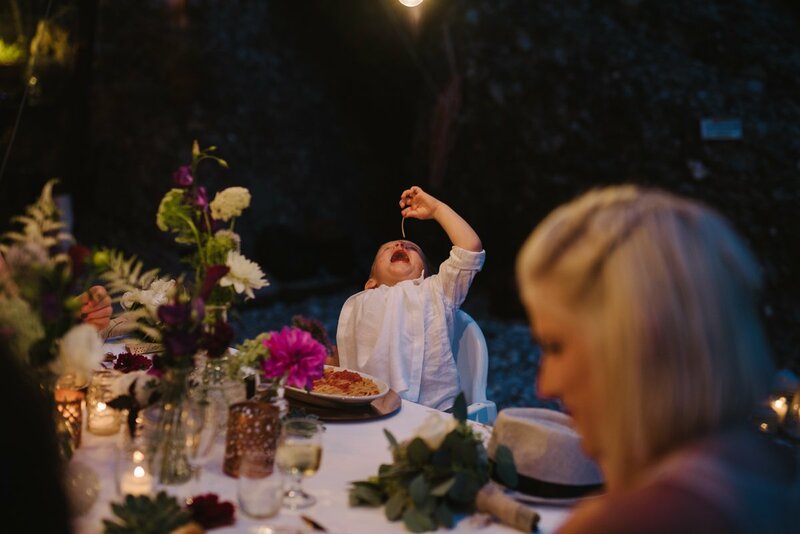 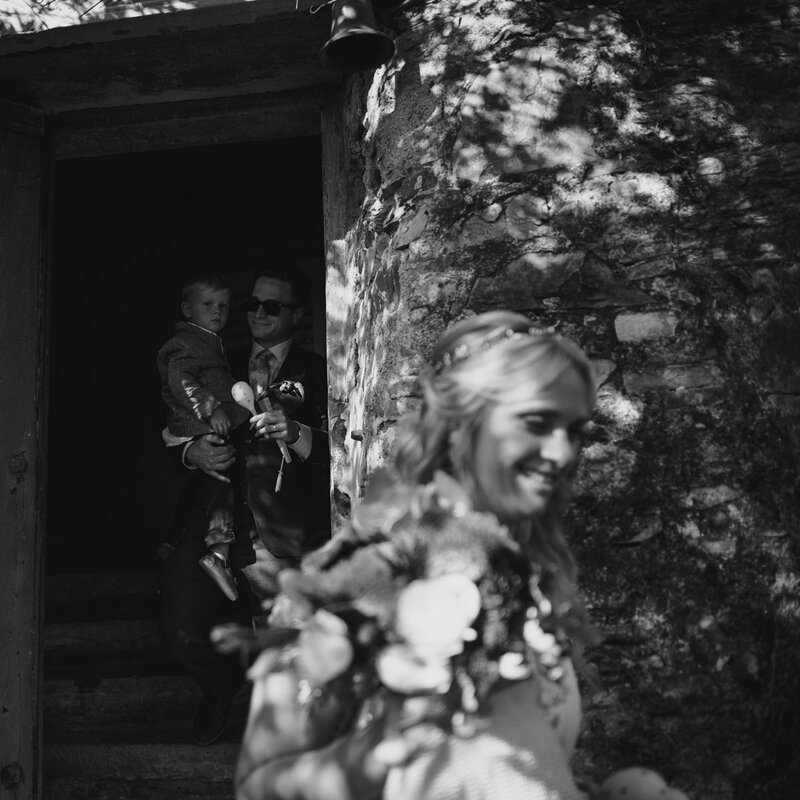 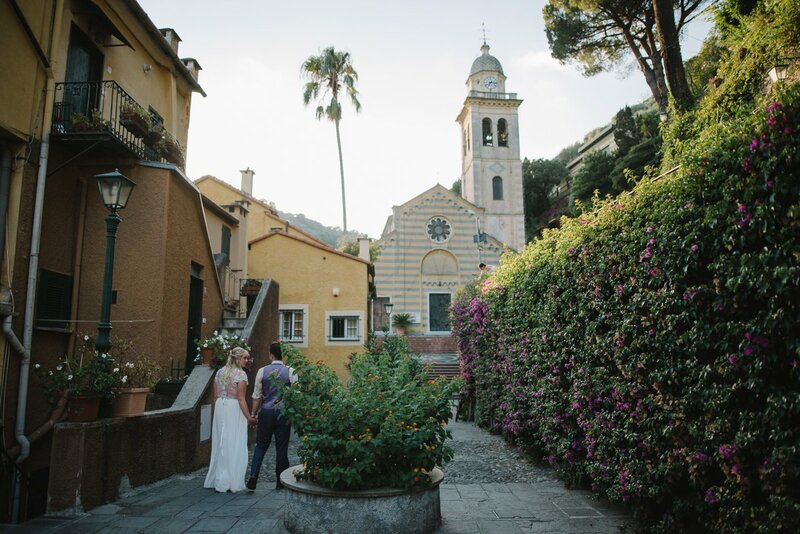 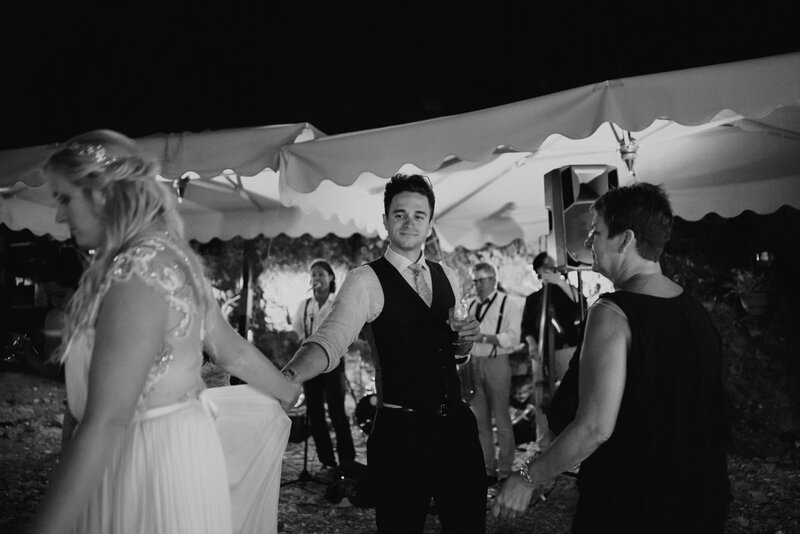 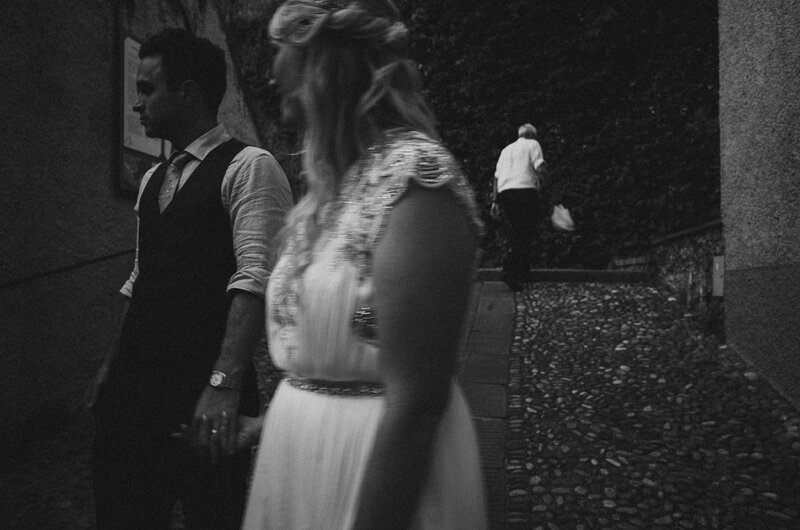 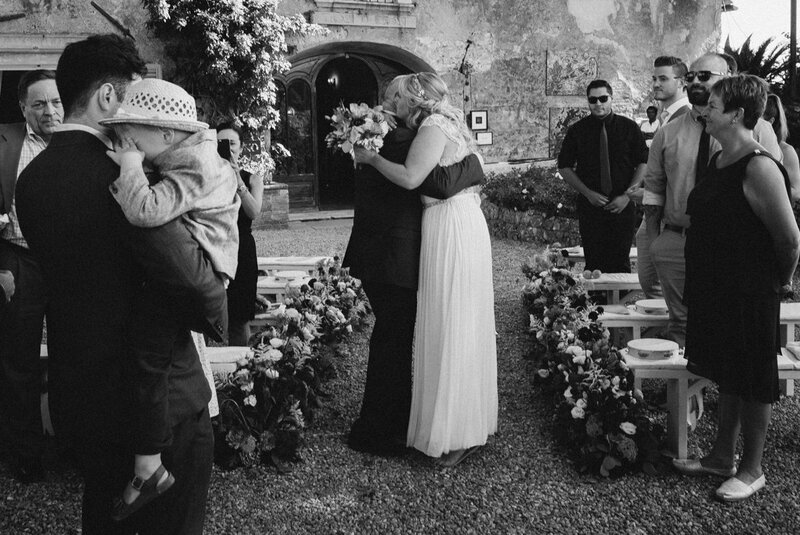 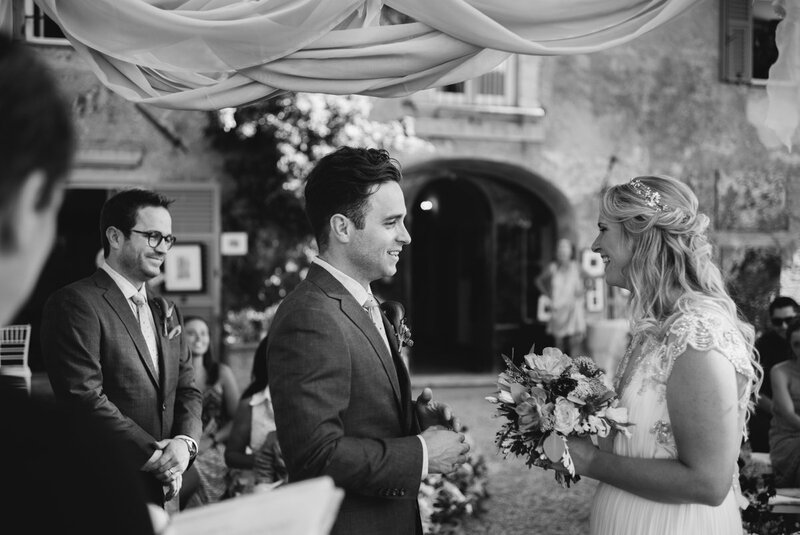 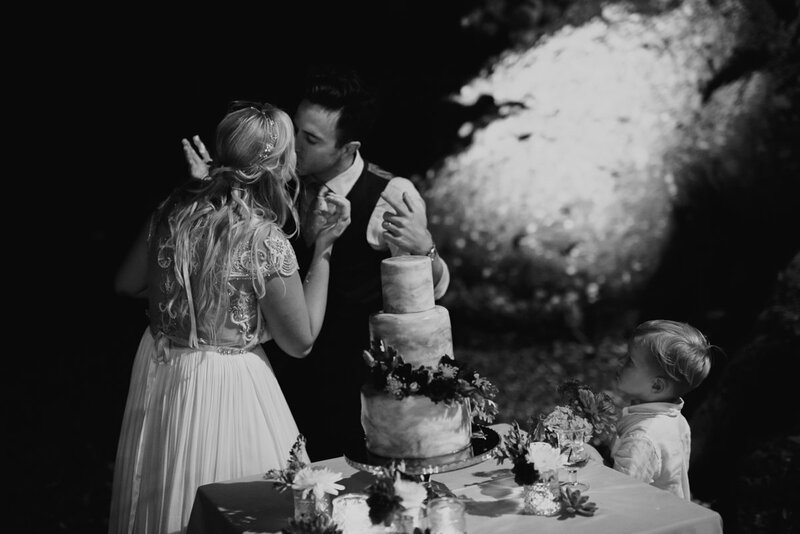 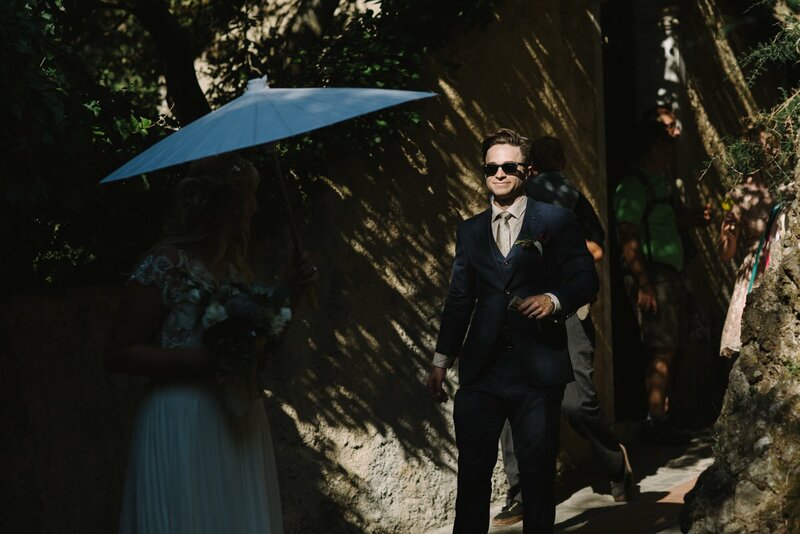 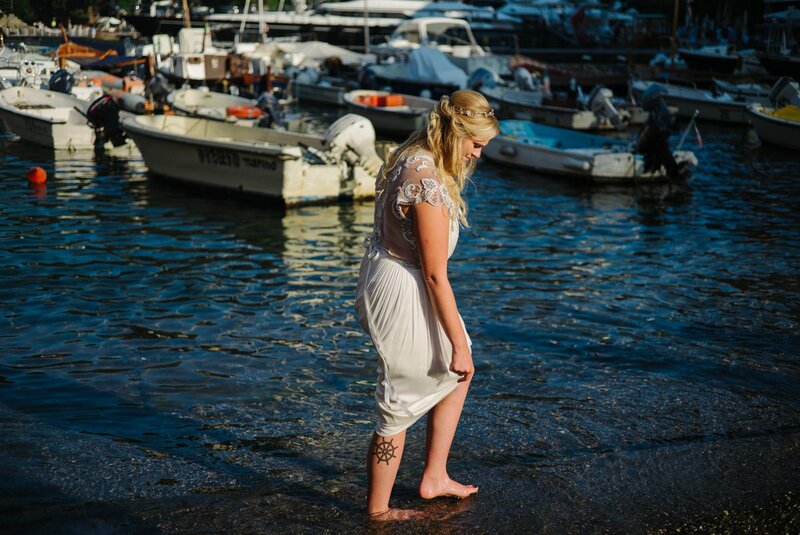 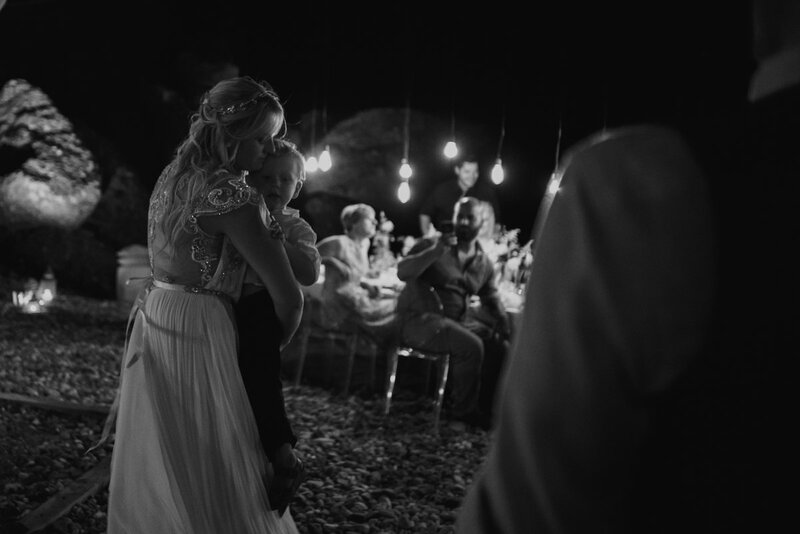 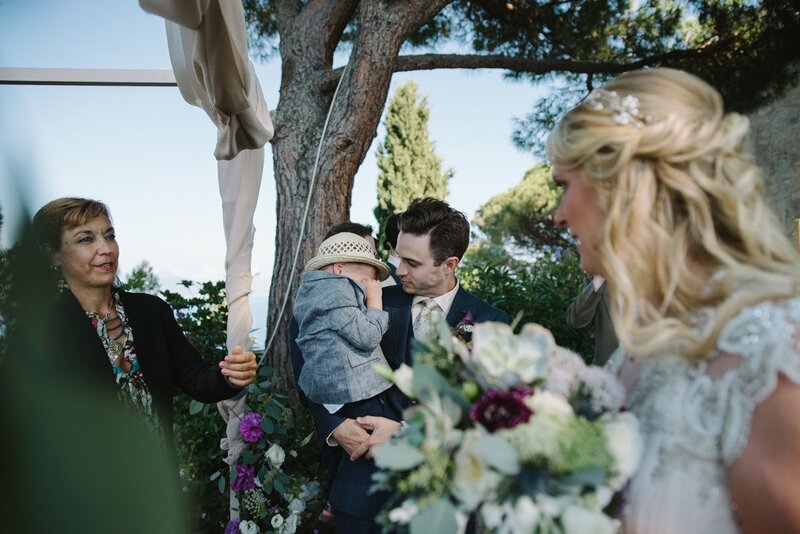 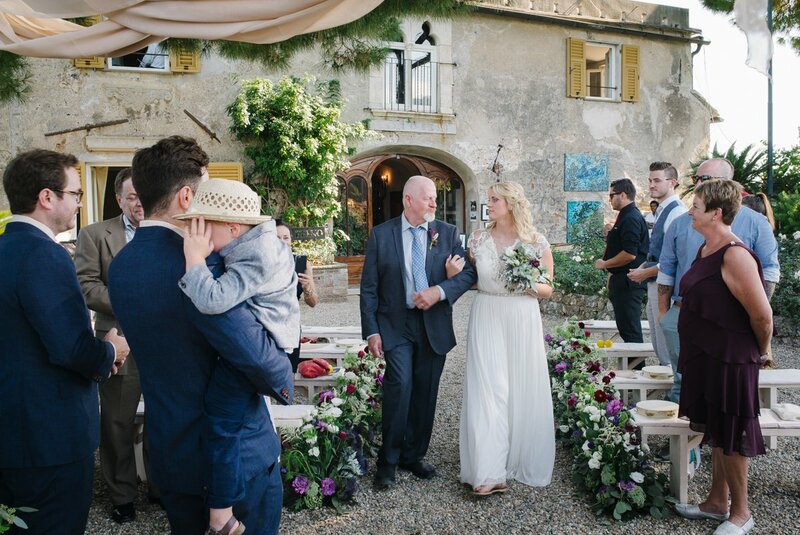 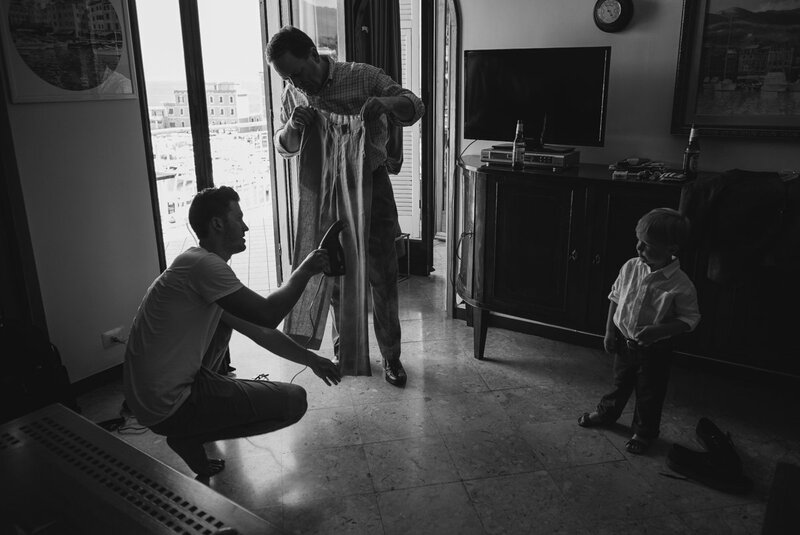 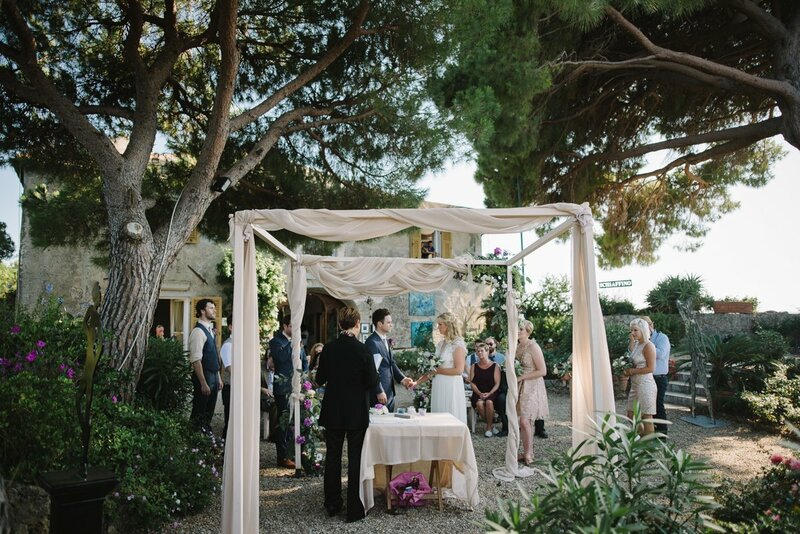 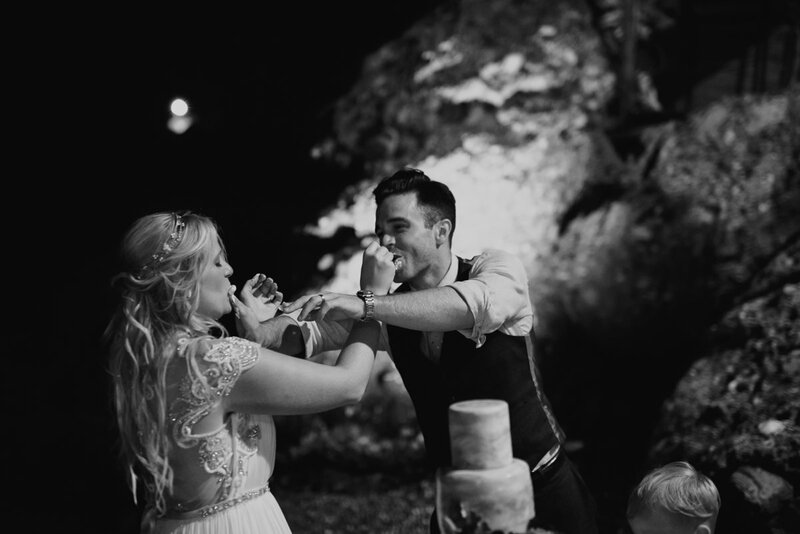 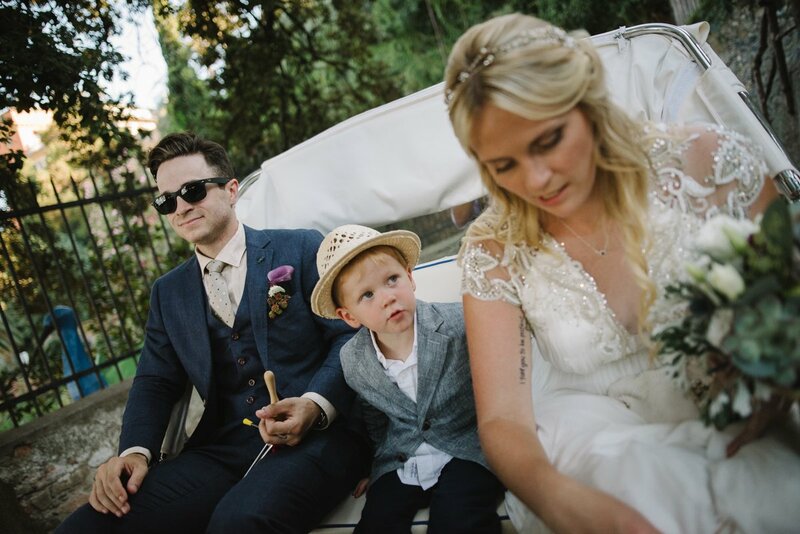 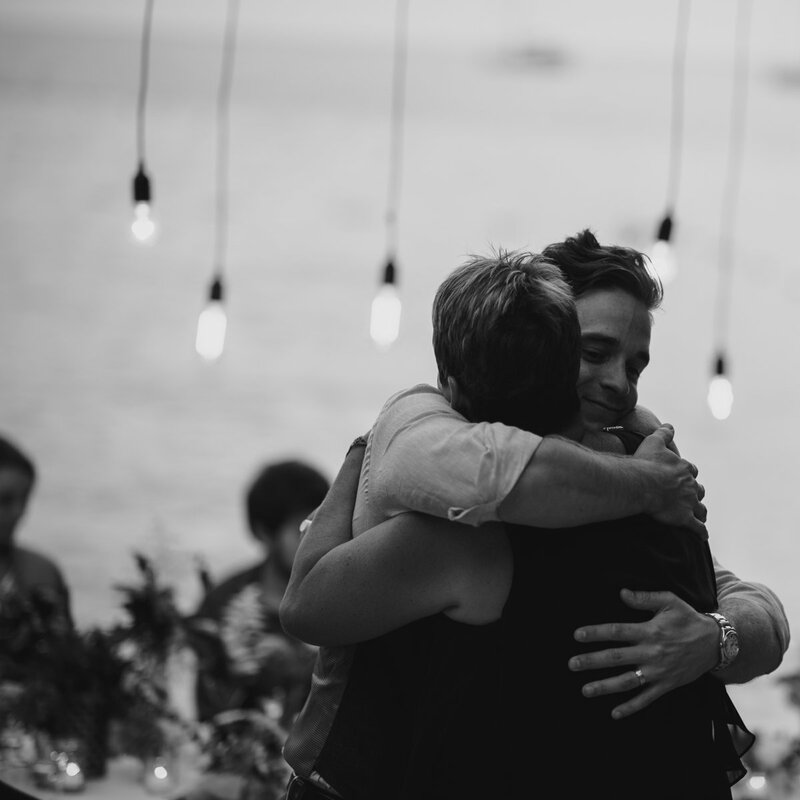 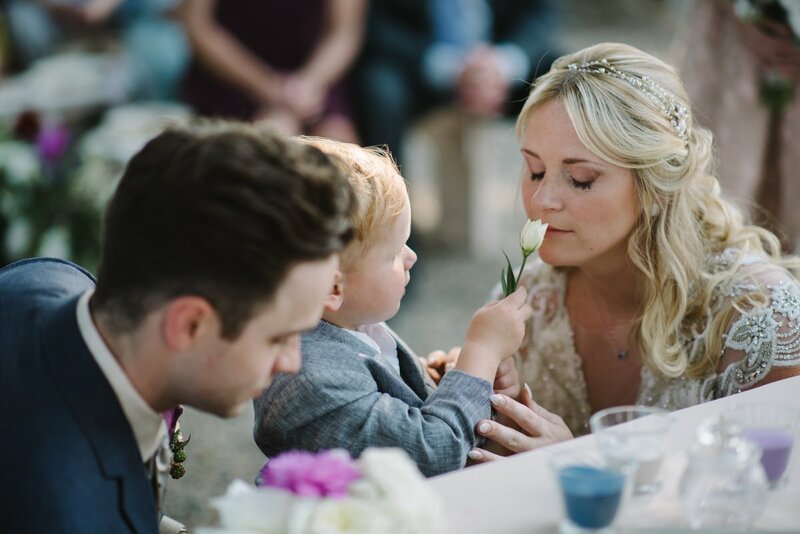 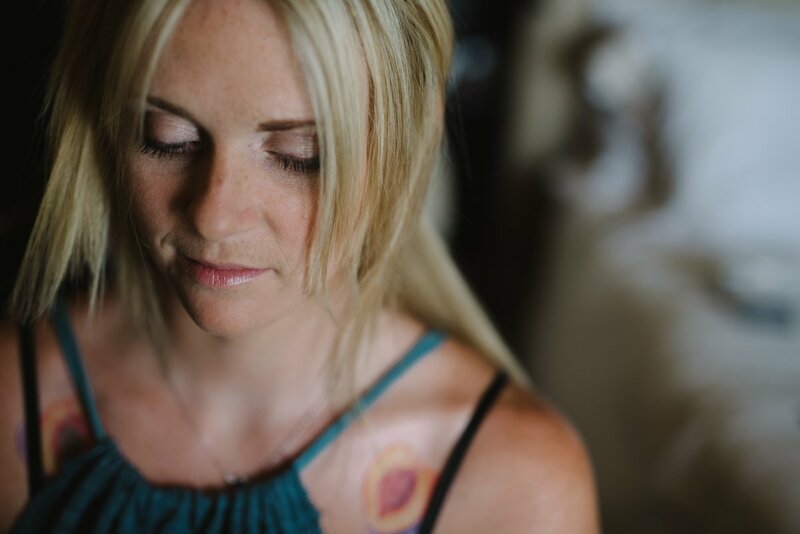 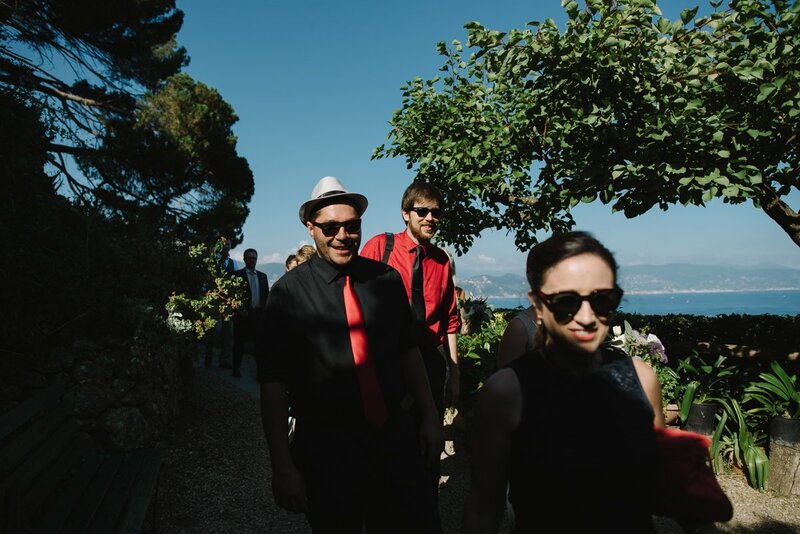 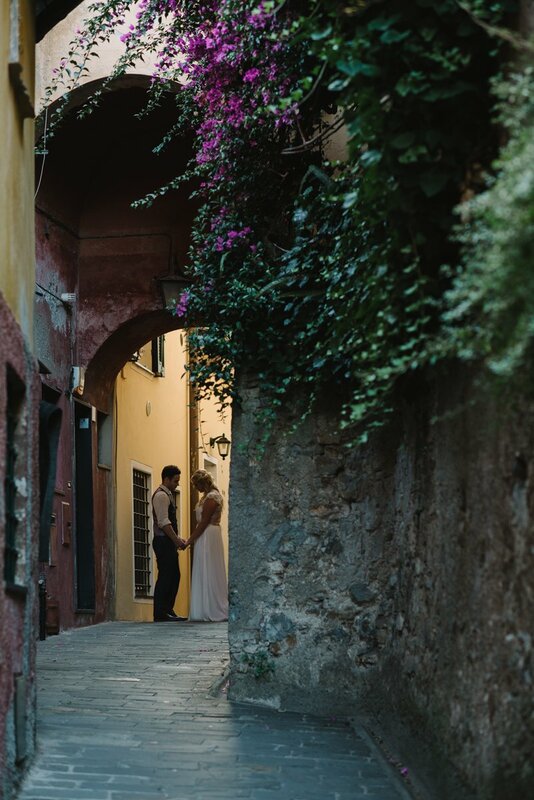 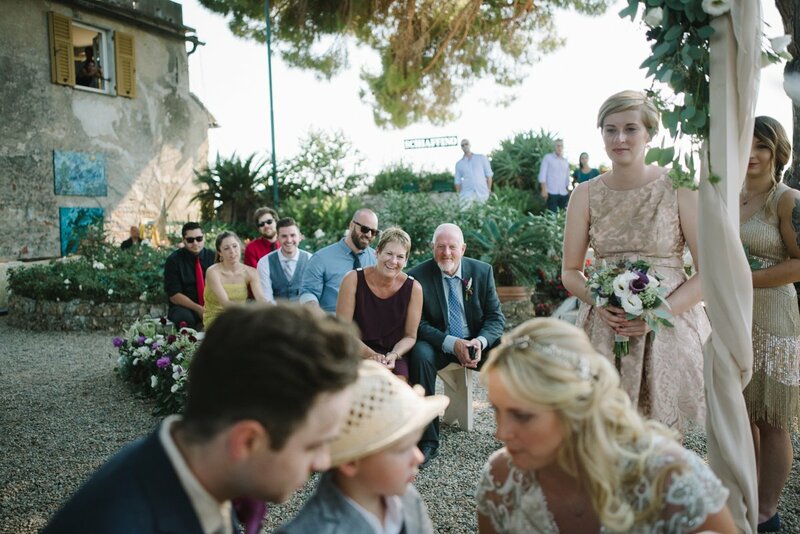 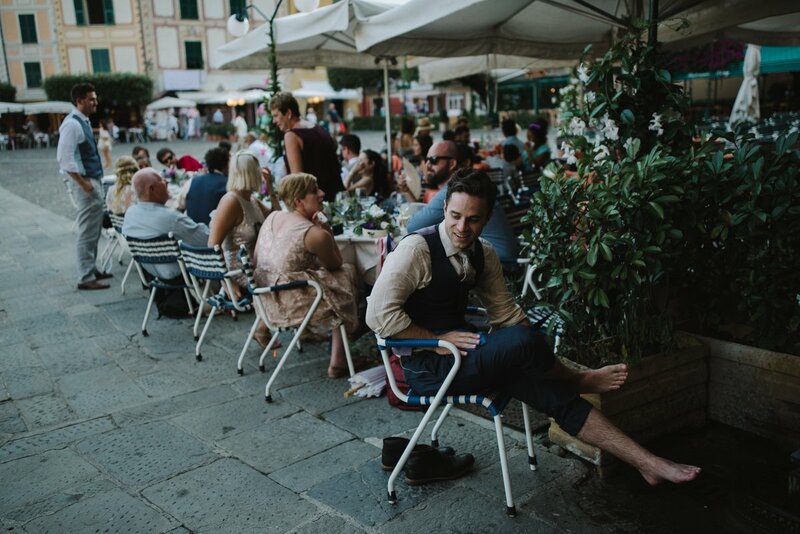 Leah, Austin and their lovely little child chose the Italian Riviera for their destination wedding in Italy. 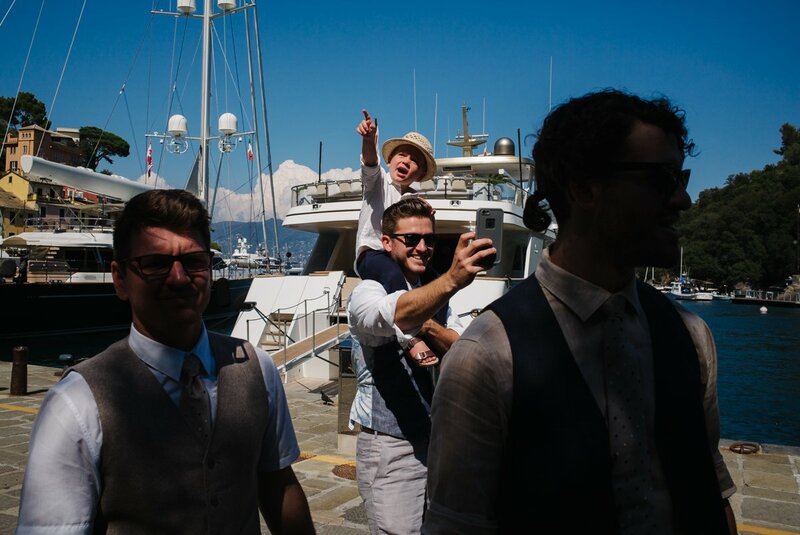 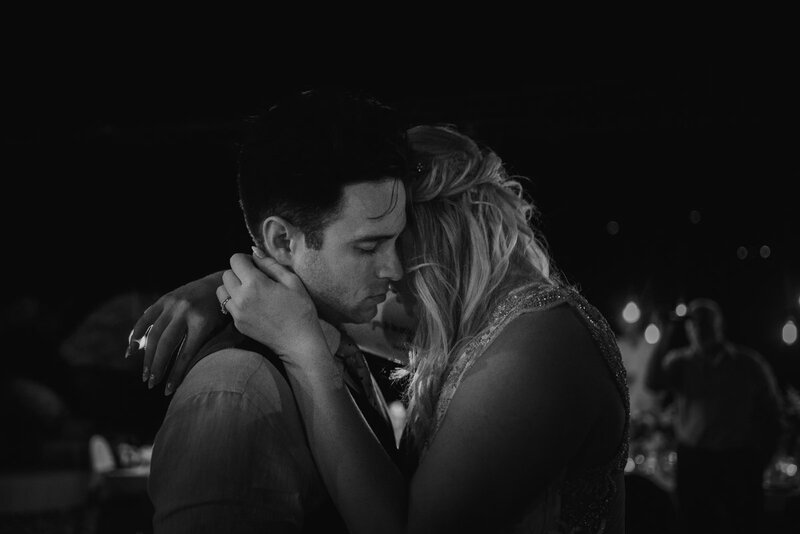 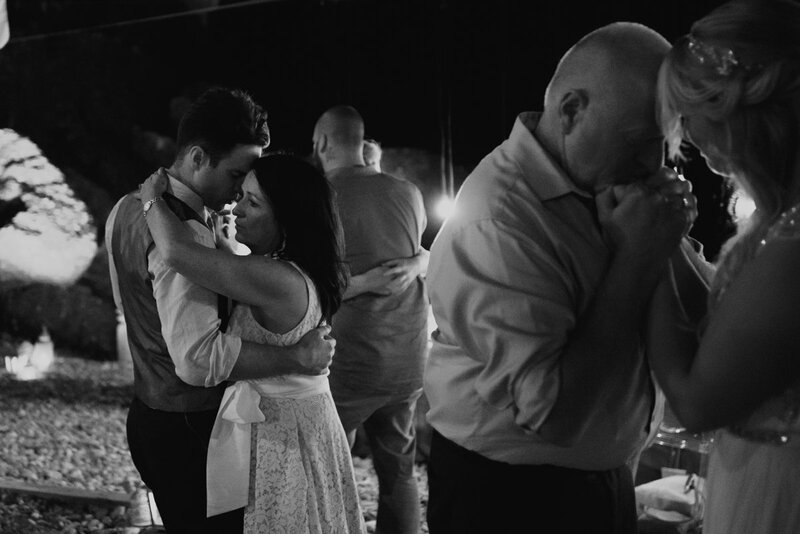 And we were their lucky wedding photographers. 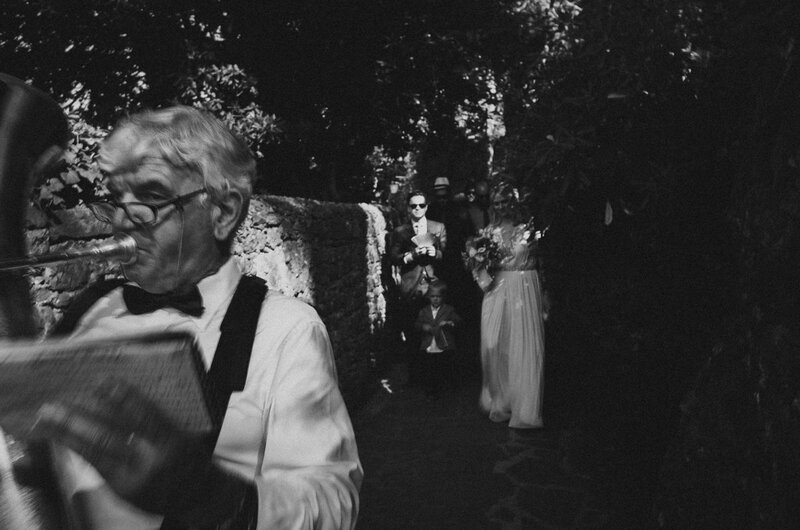 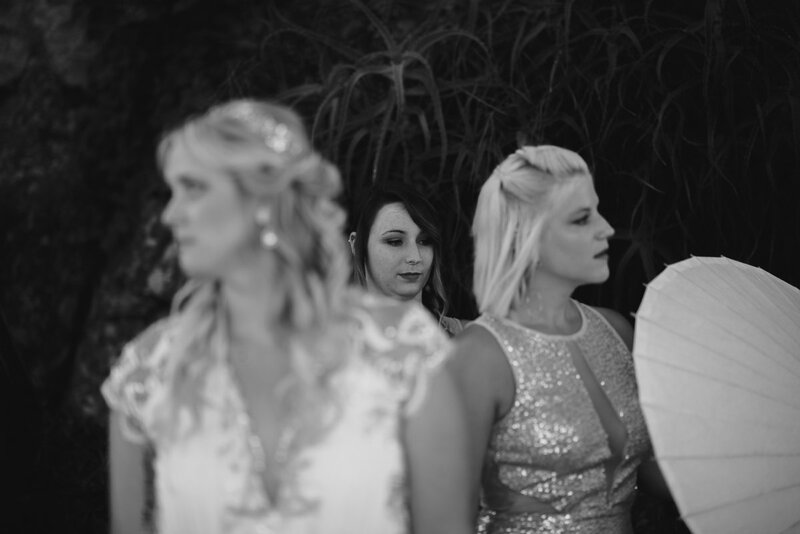 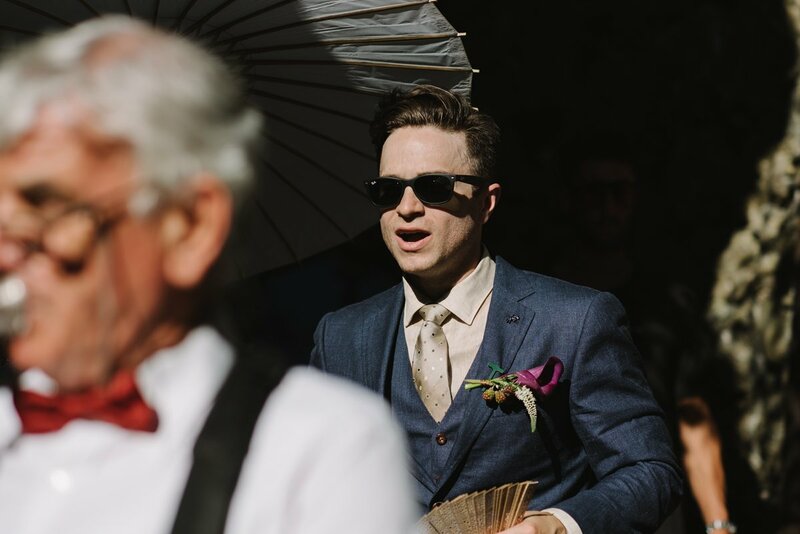 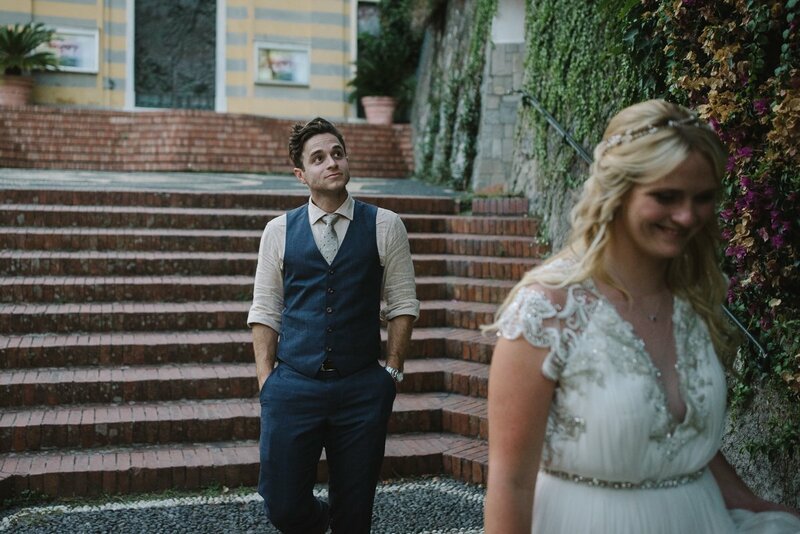 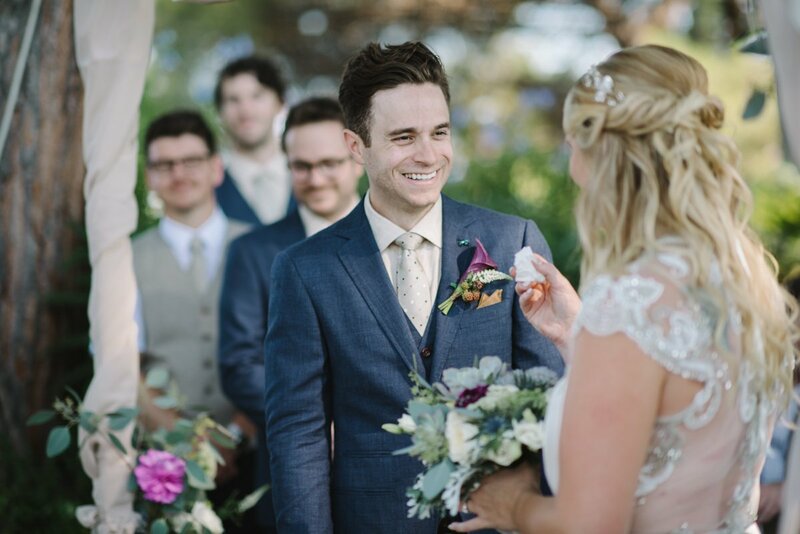 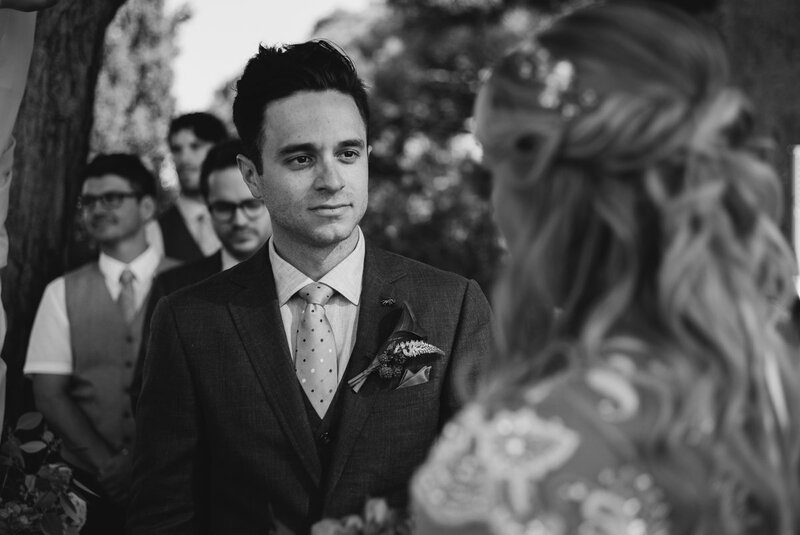 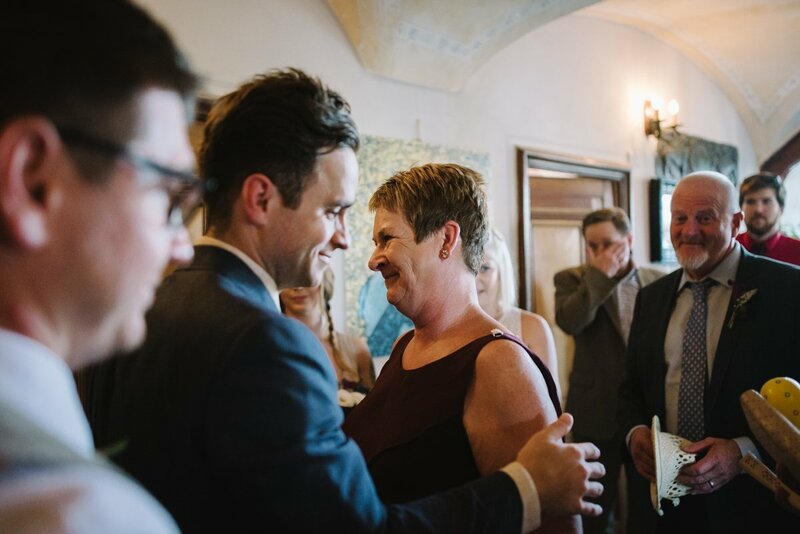 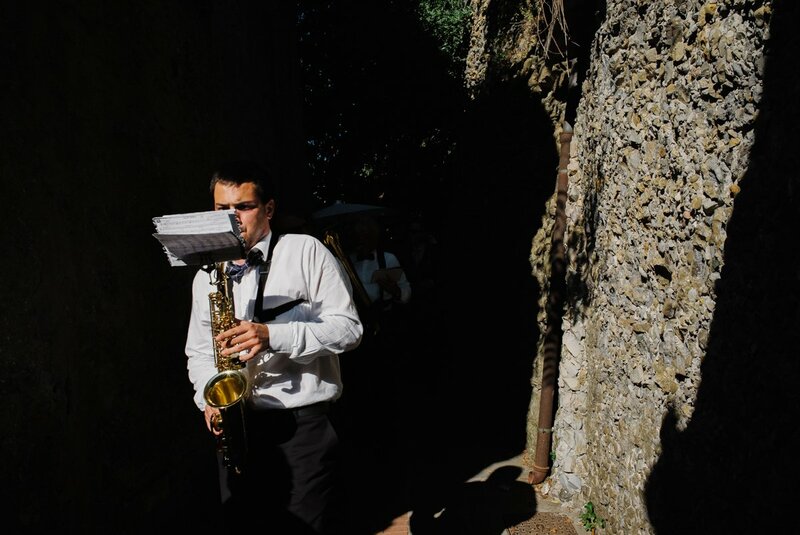 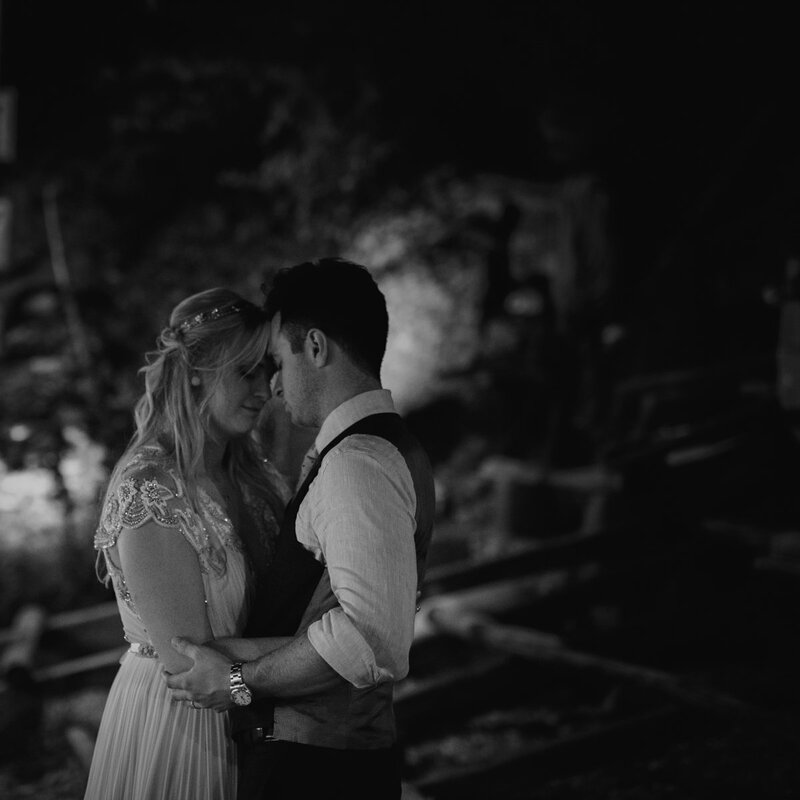 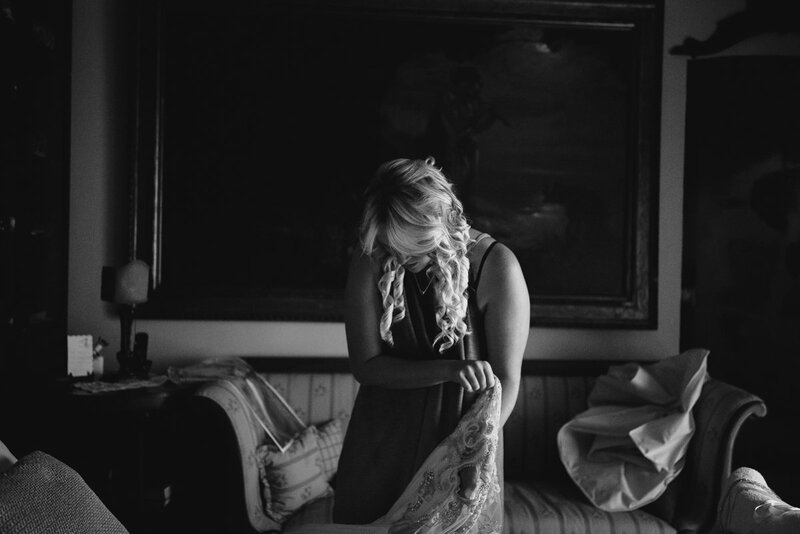 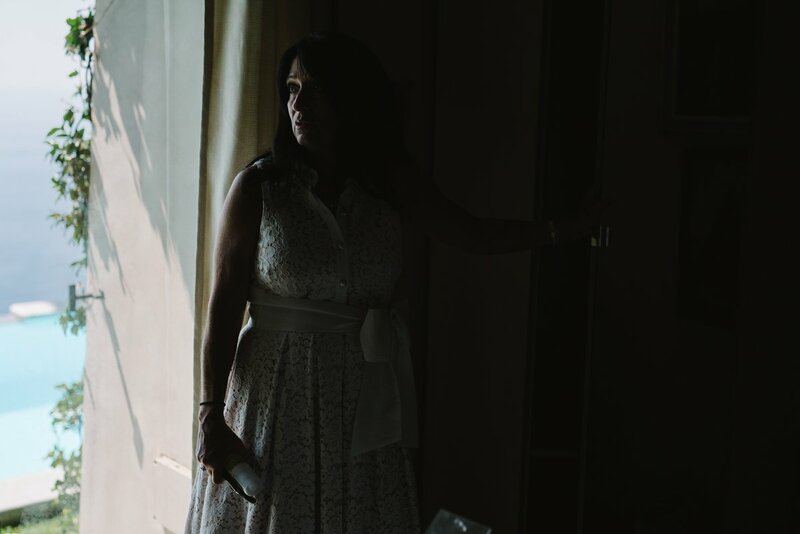 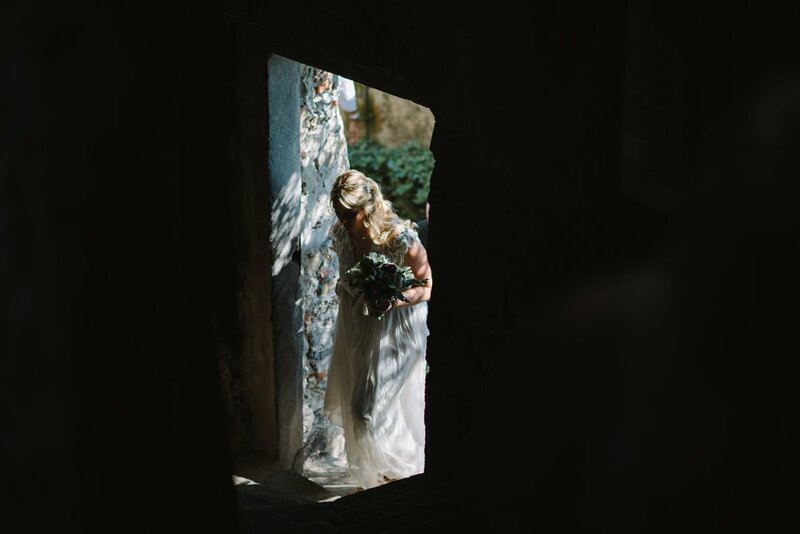 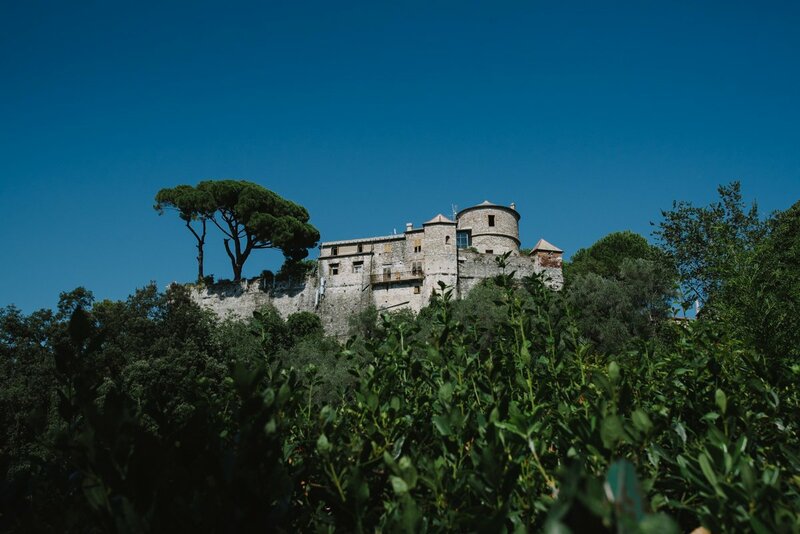 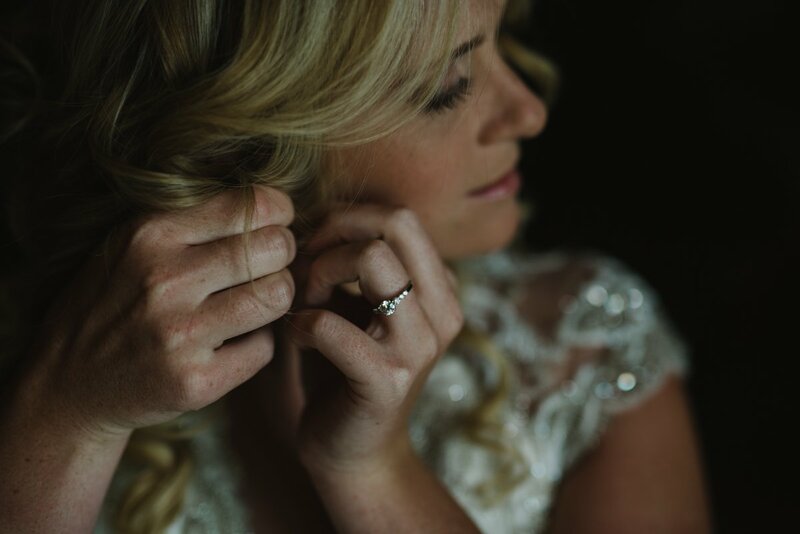 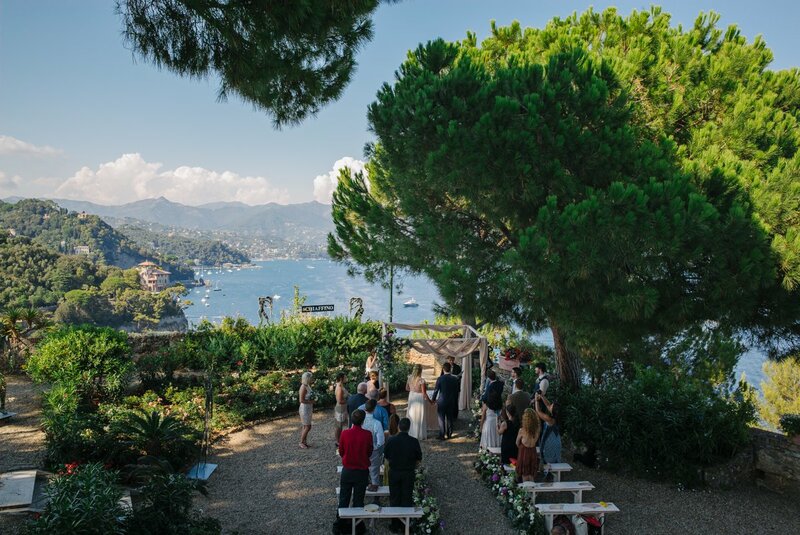 They got married at Castle Brown in Portifino in a very warm afternoon but nothing could stop all of them while walking up there, elegant and excited in their wedding dresses. 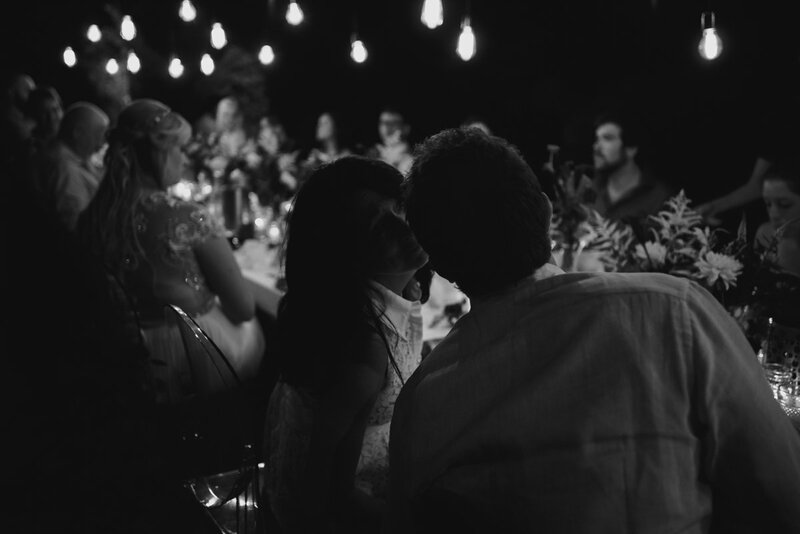 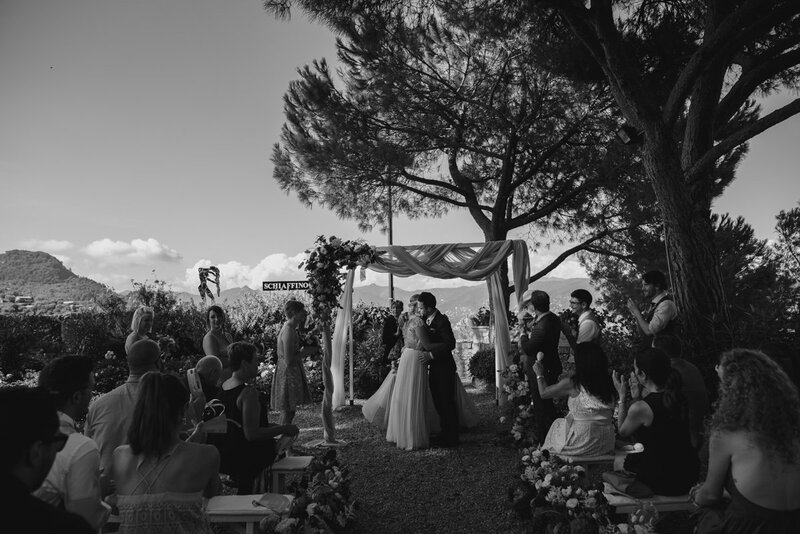 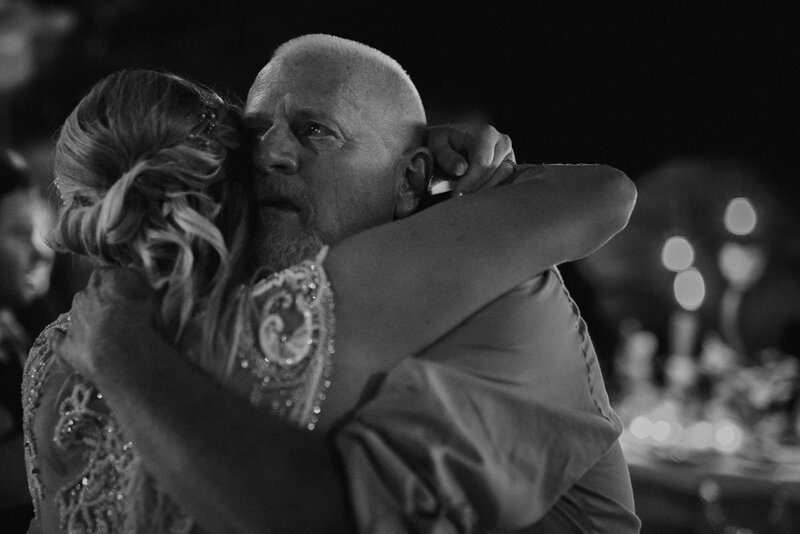 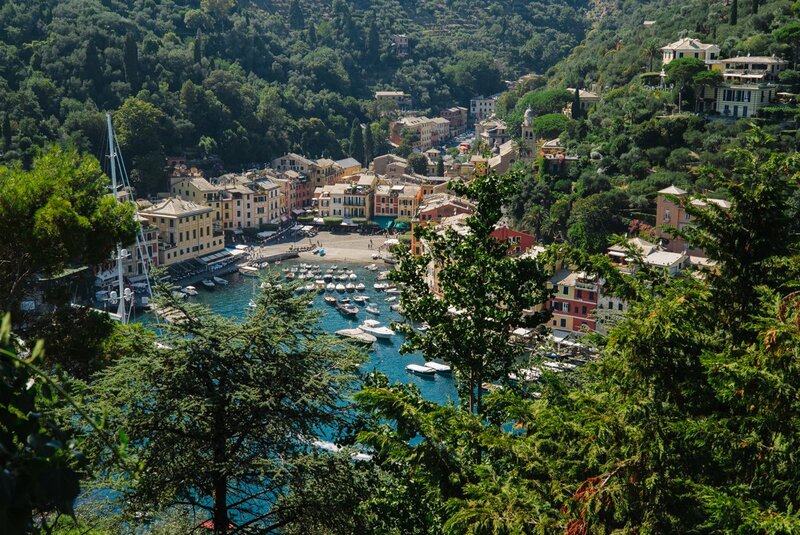 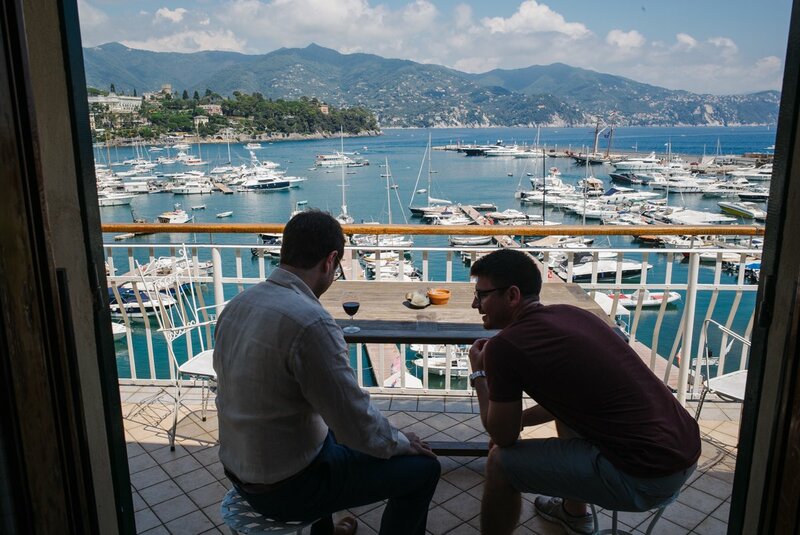 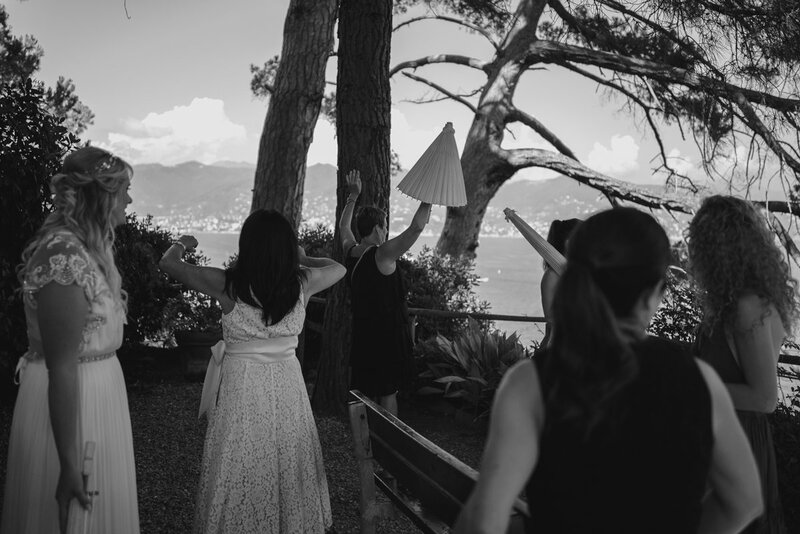 They had a symbolic ceremony and they shared congratulations by a spectacular view of Portofino. 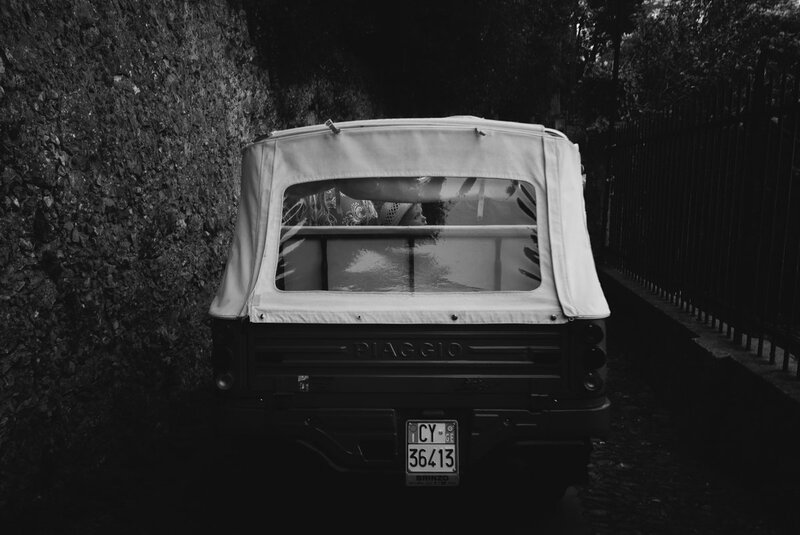 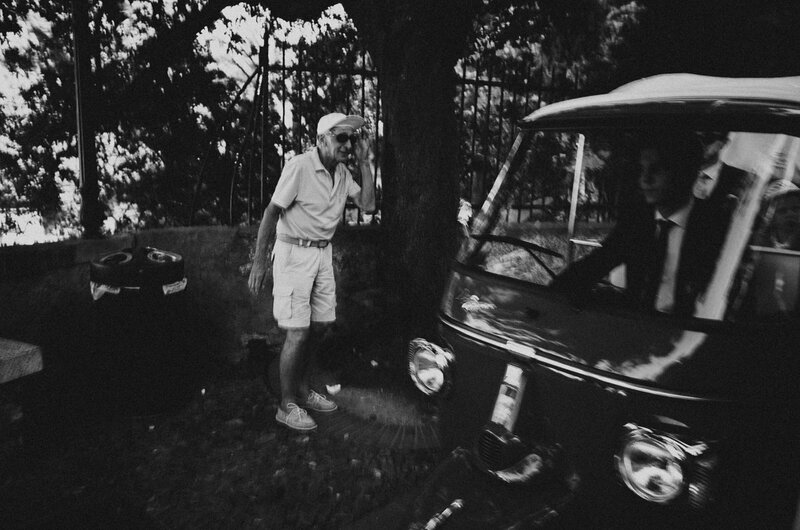 Later, they ride a typical Italian Ape car to get back to the famous Piazzetta of Portofino for a wedding cocktail. 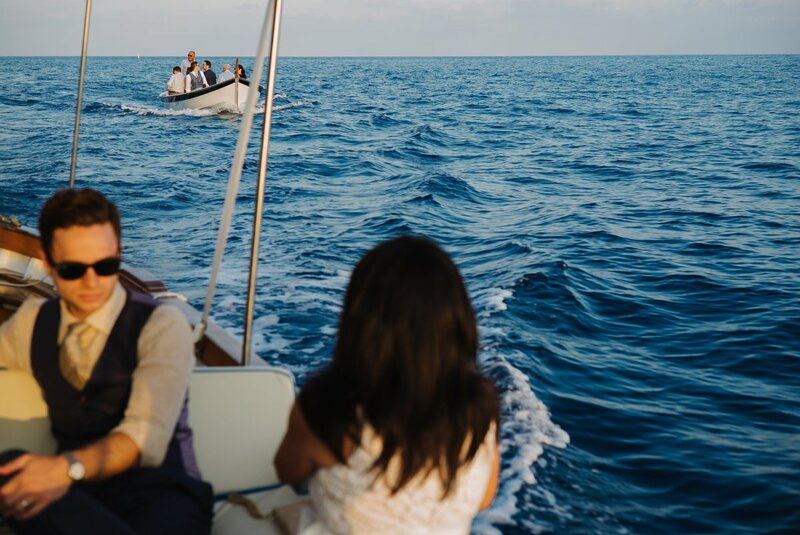 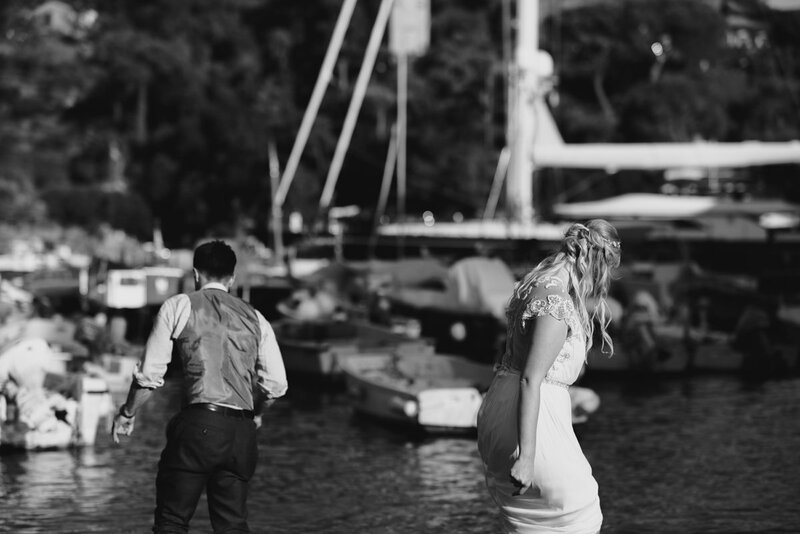 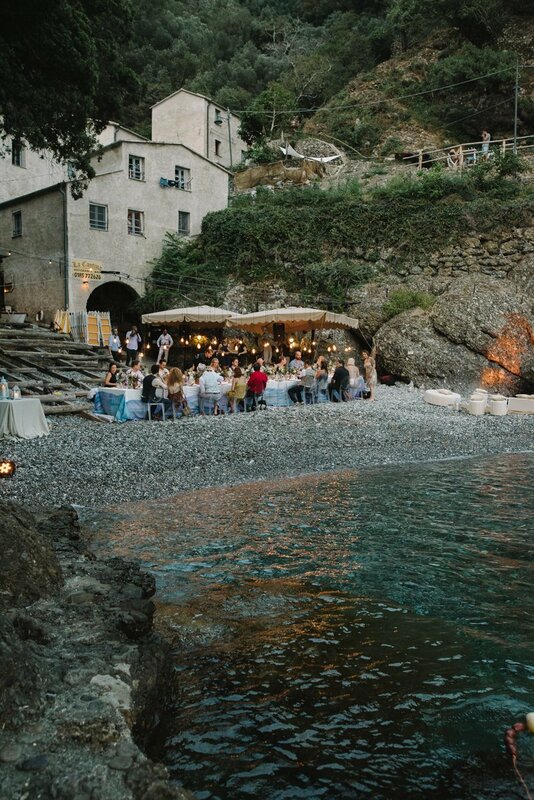 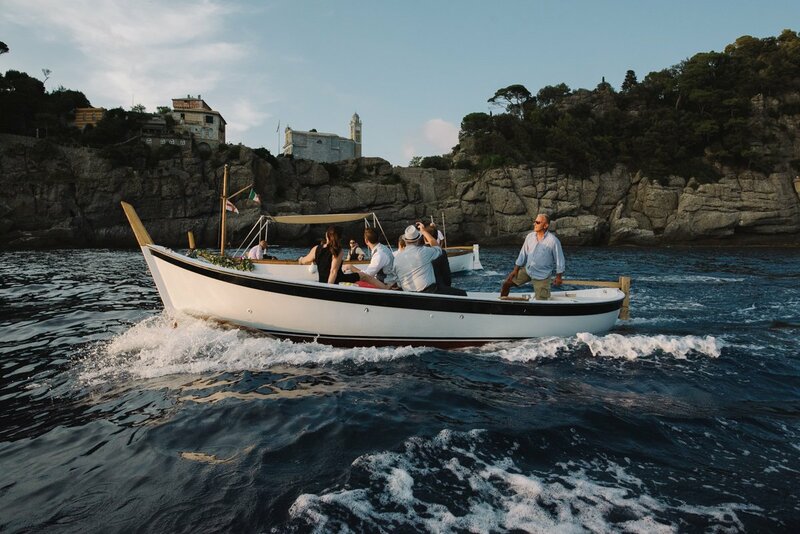 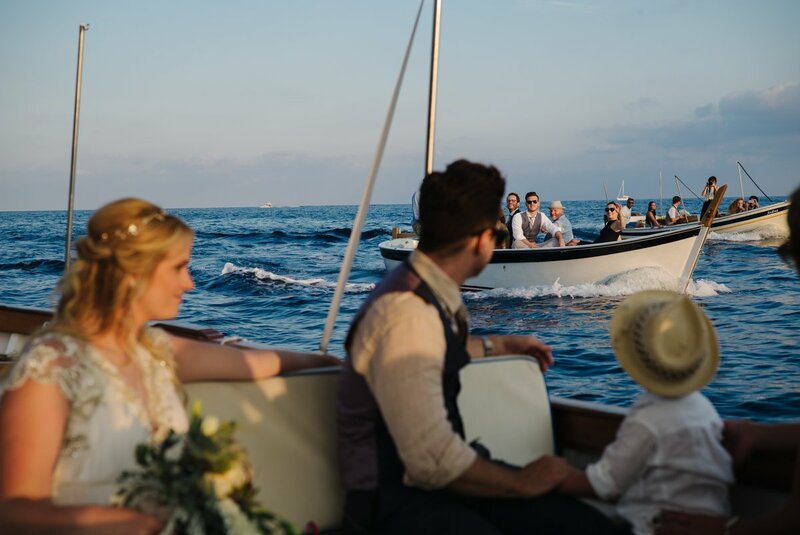 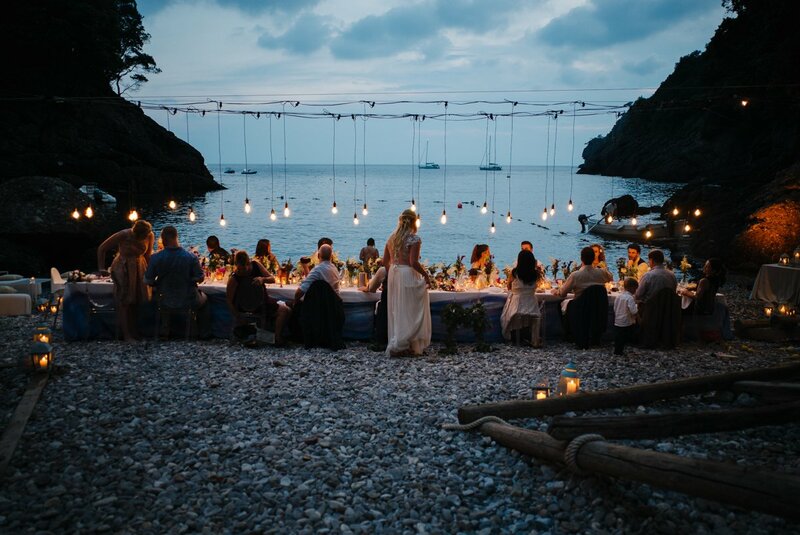 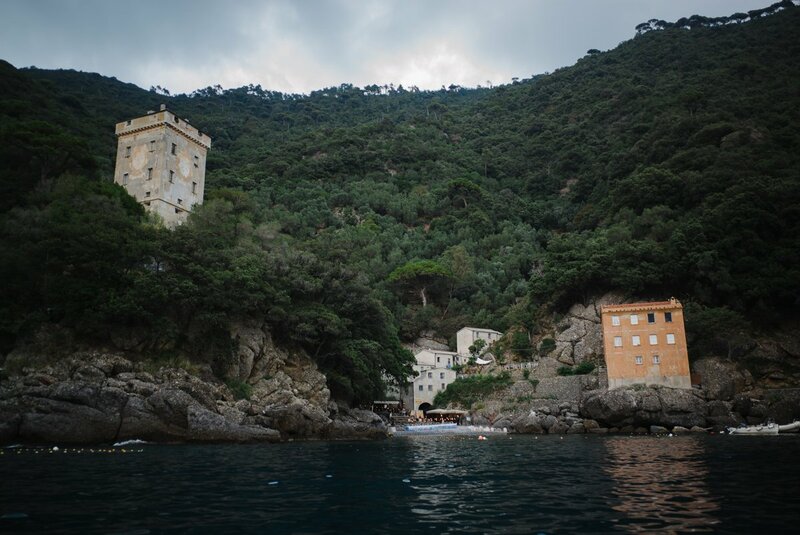 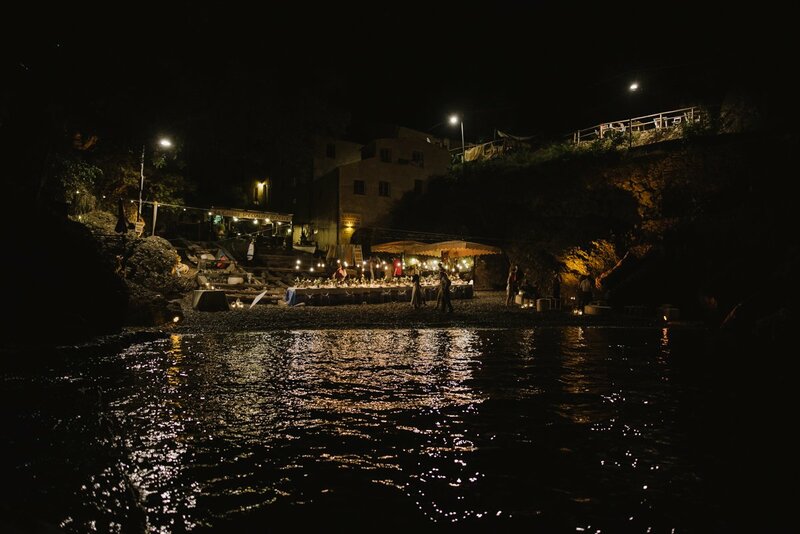 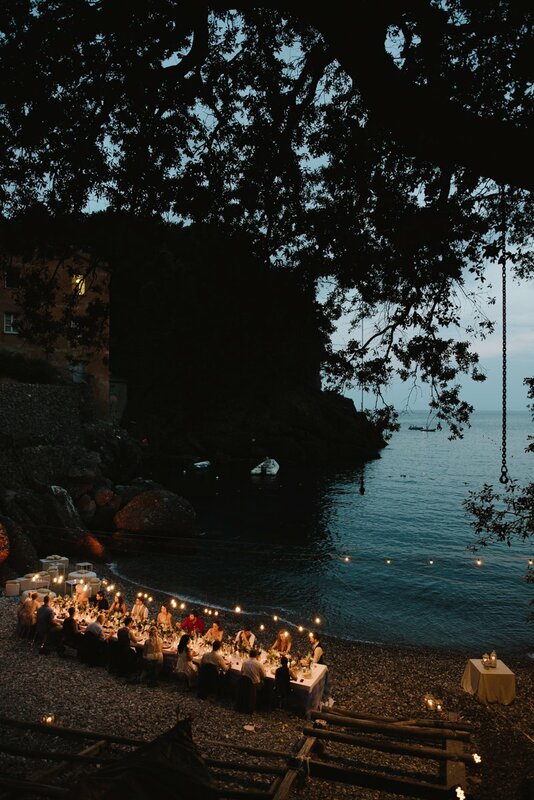 We joined then the stunning small bay of San fruttuoso di Camogli by the typical gozzi (boats) to start the wedding reception and, what a surprise, we found their wedding table on the small beach by the sea and it looked so pretty and romantic! 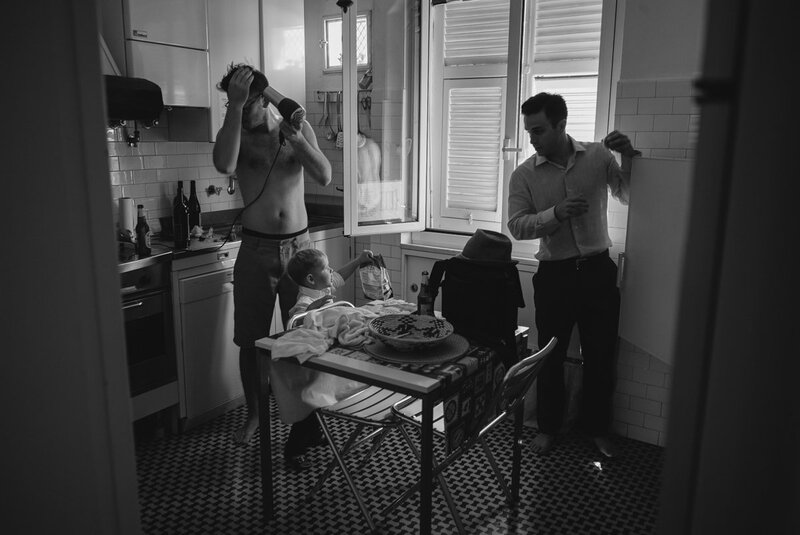 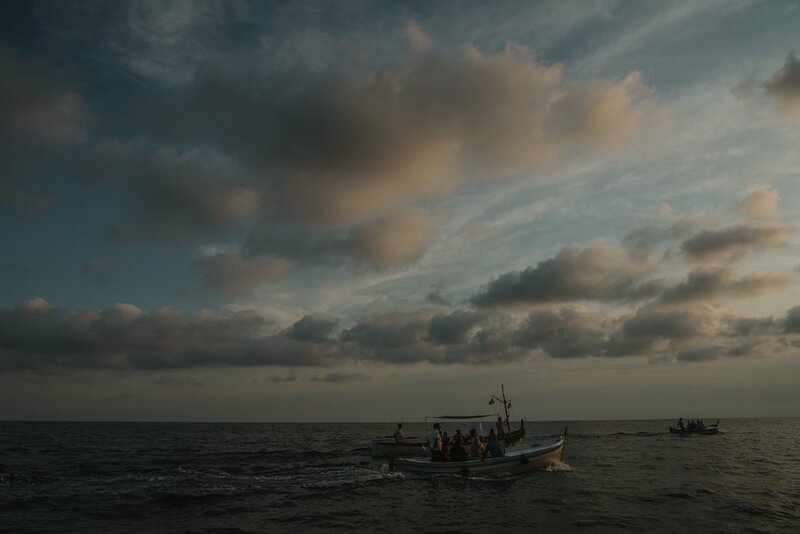 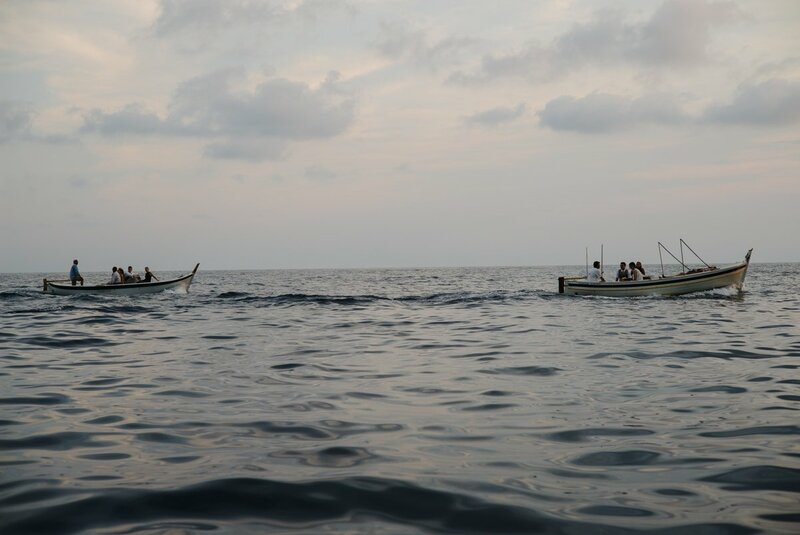 Thank you guys for deeply understanding the spirit of our photography, we had lot of fun together! 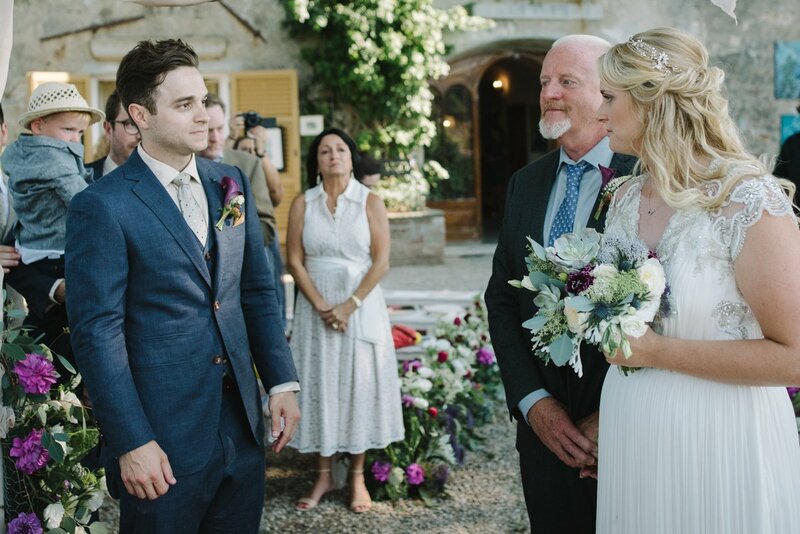 And congratulations!! 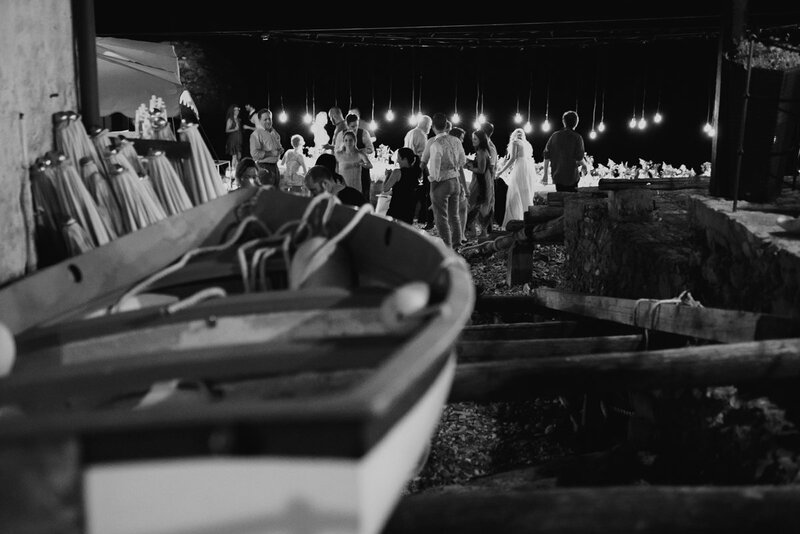 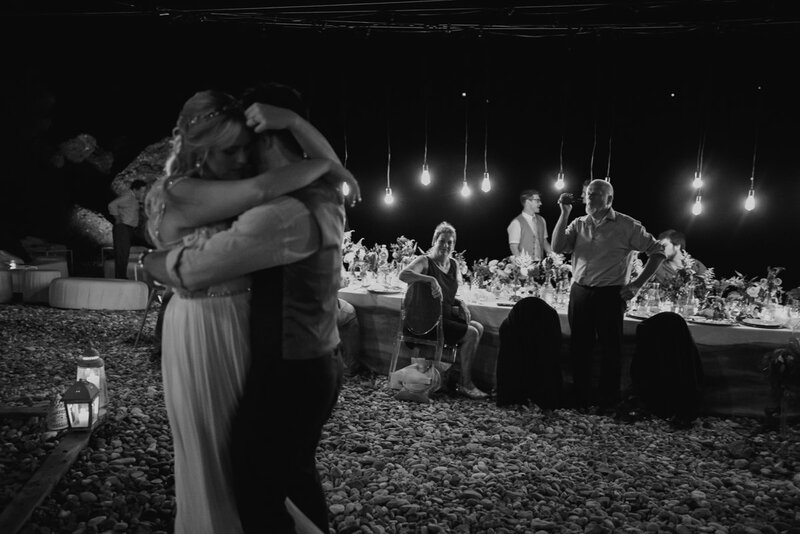 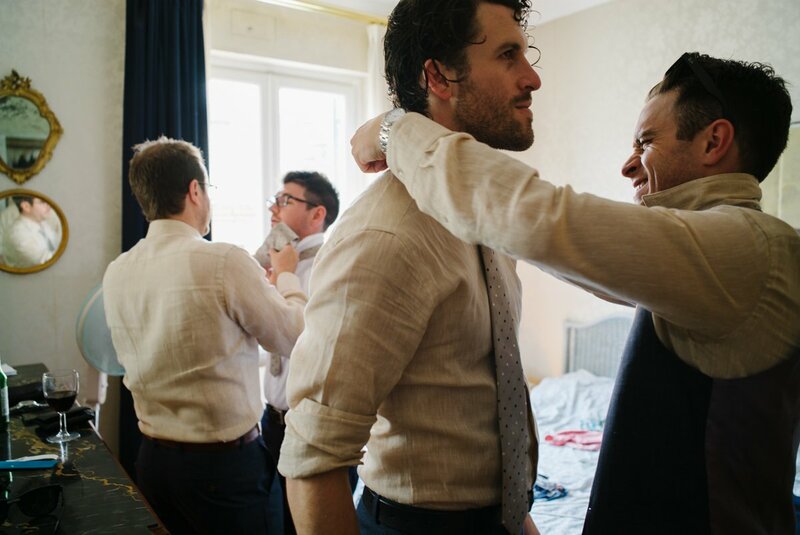 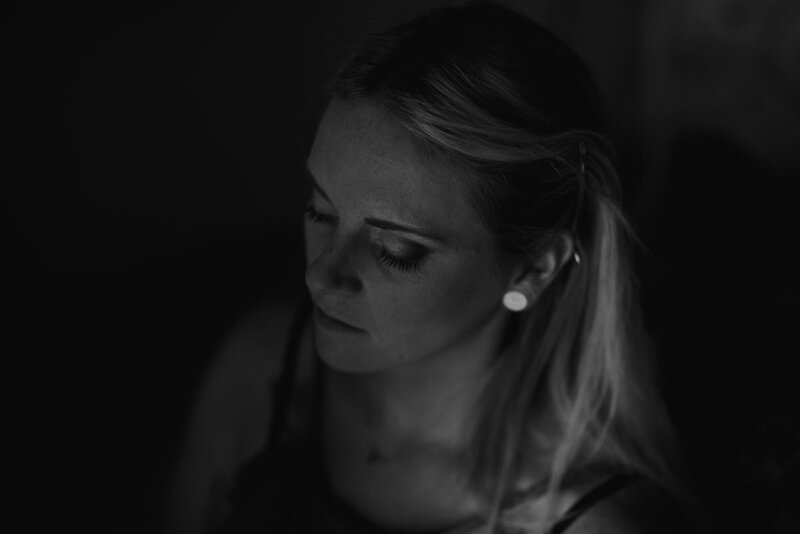 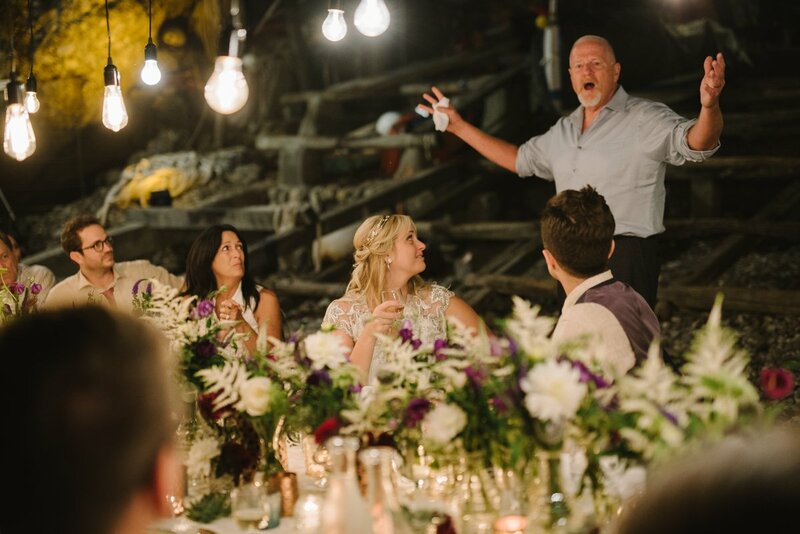 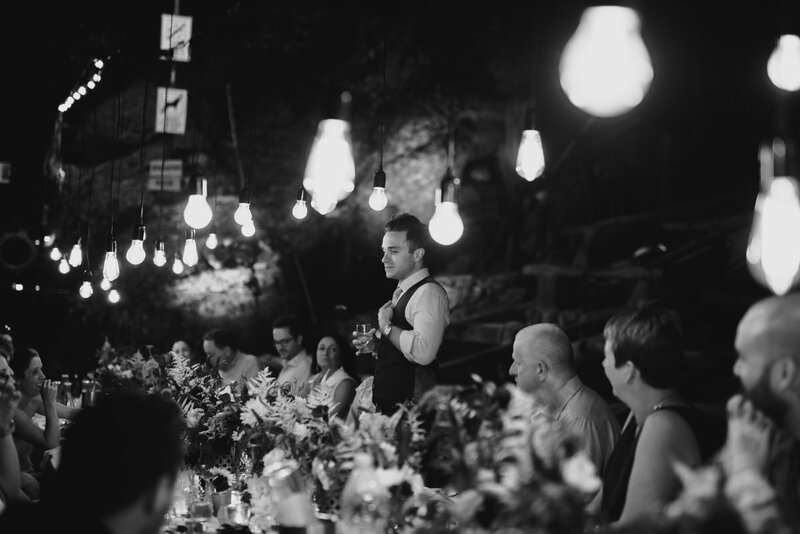 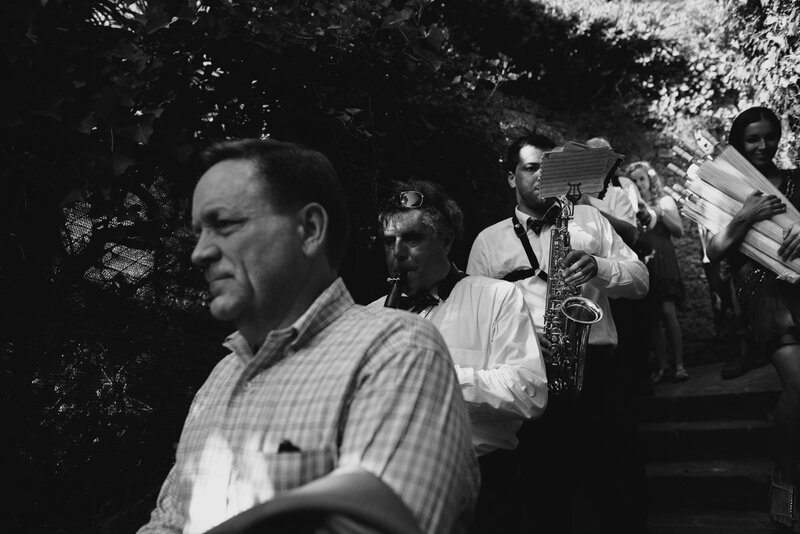 This wedding was organized by sposiamovi.